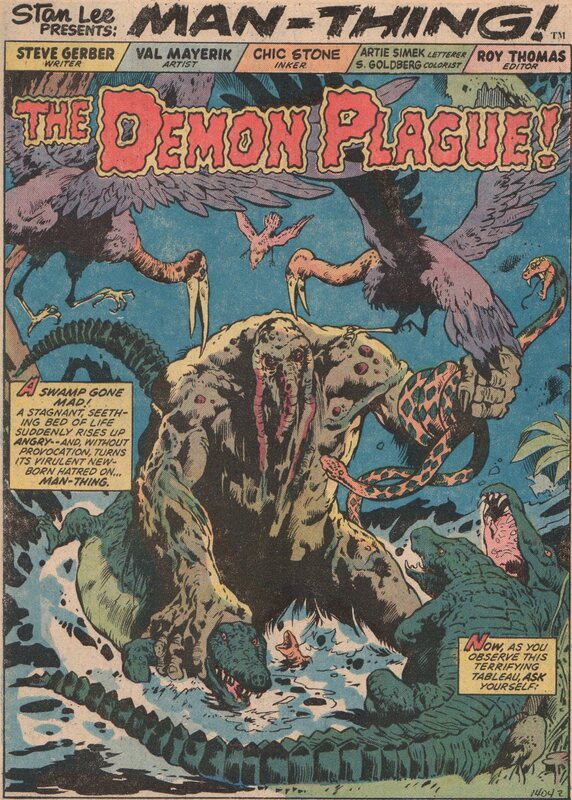 Jim Mooney | Magazines and Monsters! 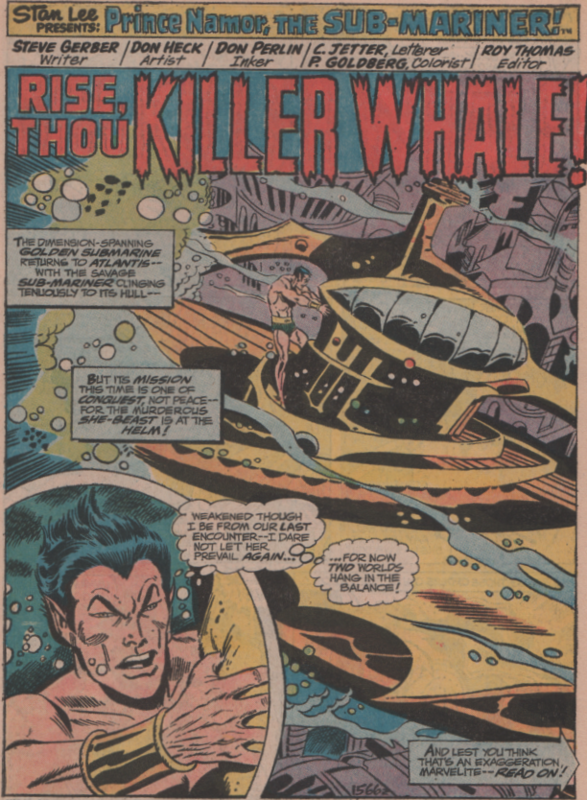 Everyone knows there isn’t a more pompous, self-aggrandizing hero than Namor, the Sub-Mariner! It’s part of his charm, apparently. 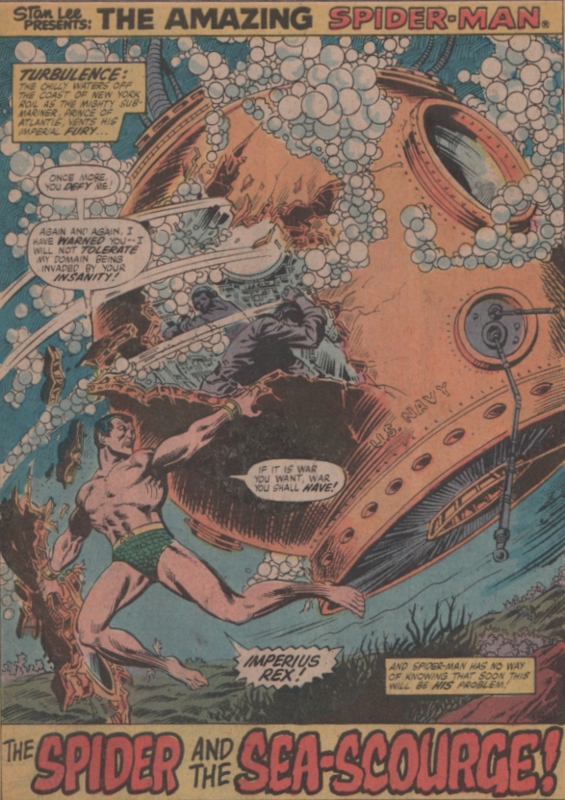 Personally, his exploits on land as an Avenger are much more intriguing to me, but every so often, we get gold in an underwater adventure. As always, the story is lifted up beyond its hero by the proper villain. 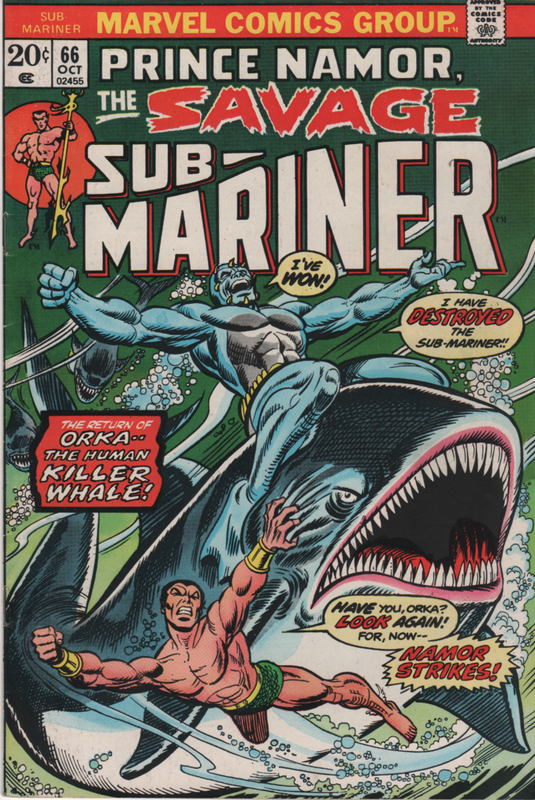 And Subby doesn’t have a better villain than Orka–The Human Killer Whale! And if he wasn’t enough, throw in Virago as well! 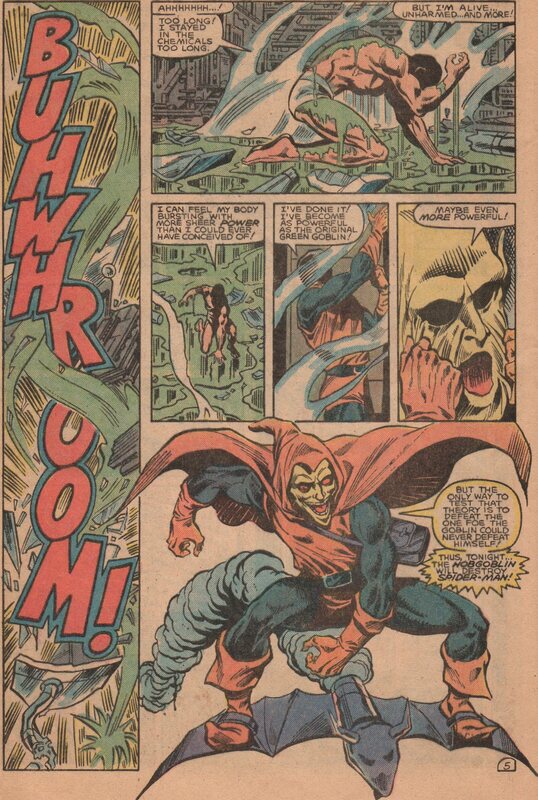 An issue that’s a straight up fight with a villain of the week, for sure, but also an entertaining one. 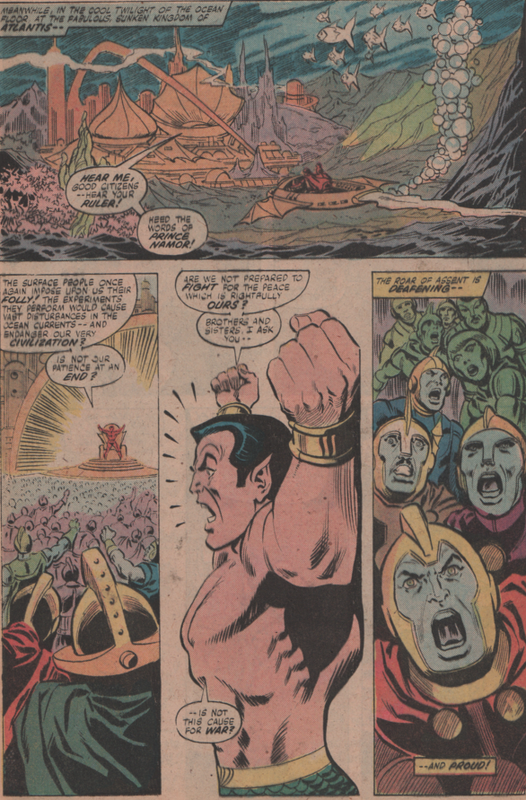 You get Subby with his usual grandstanding, shouting, etc., also a ton of panels featuring Atlantis and it’s inhabitants. 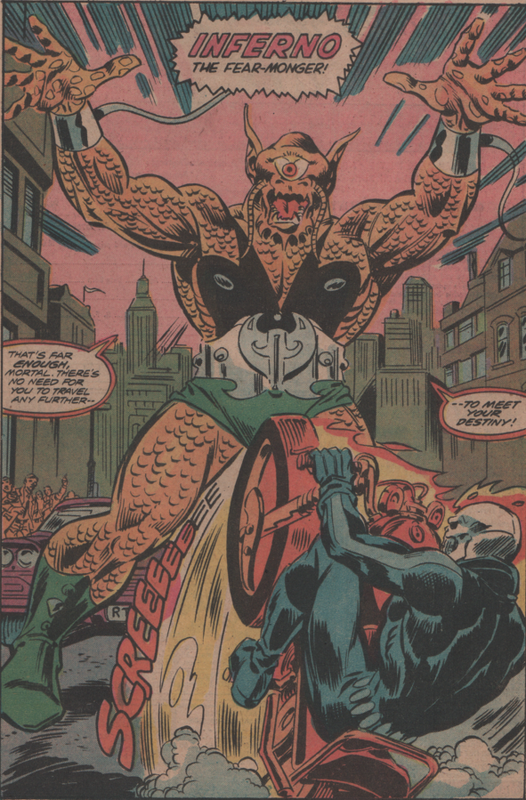 Plus, Orka is just a crazy villain (he’s definitely in my top ten), you can’t help but love this issue. 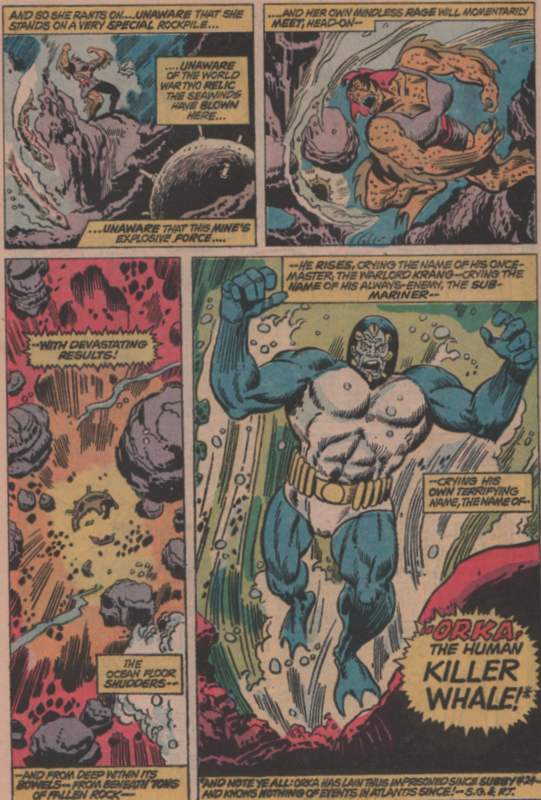 There’s also a neat little back-up story (also written by Gerber) “Tales of Atlantis” with an all-star creative cast as well! 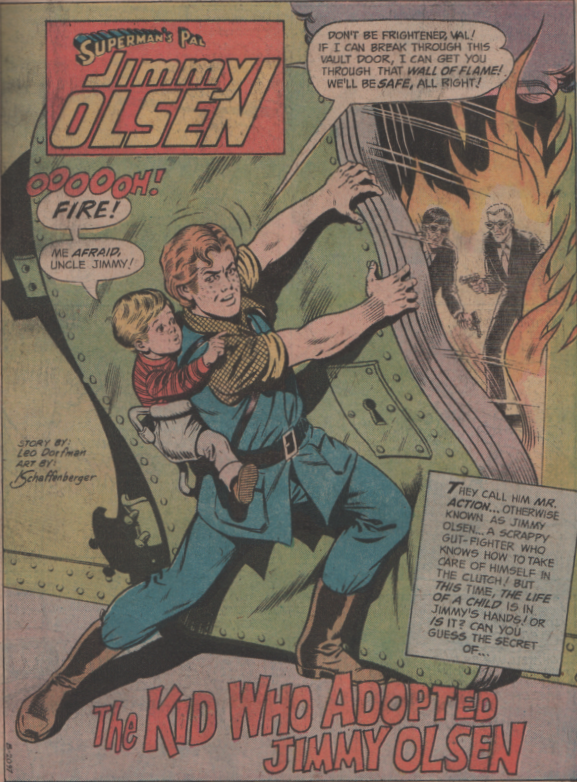 Written by Steve “Baby” Gerber, art by “Dashing” Don Heck (pencils) and “Dapper” Don Perlin, colors by Petra Goldberg, letters by Charlotte Jetter, and edited by Roy “The Boy” Thomas! 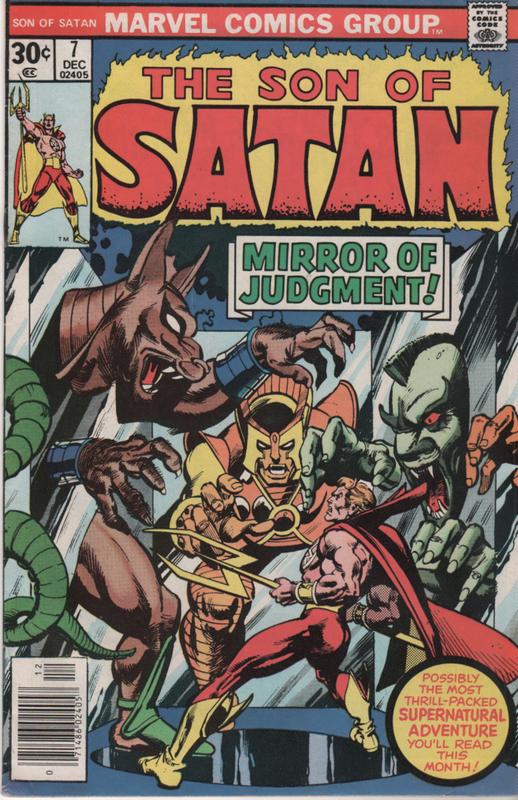 And let us not forget the outstanding cover by Gil “Sugar” Kane (pencils) and “Mirthful” Mike Esposito (inks, with some slight alterations by John Romita)! 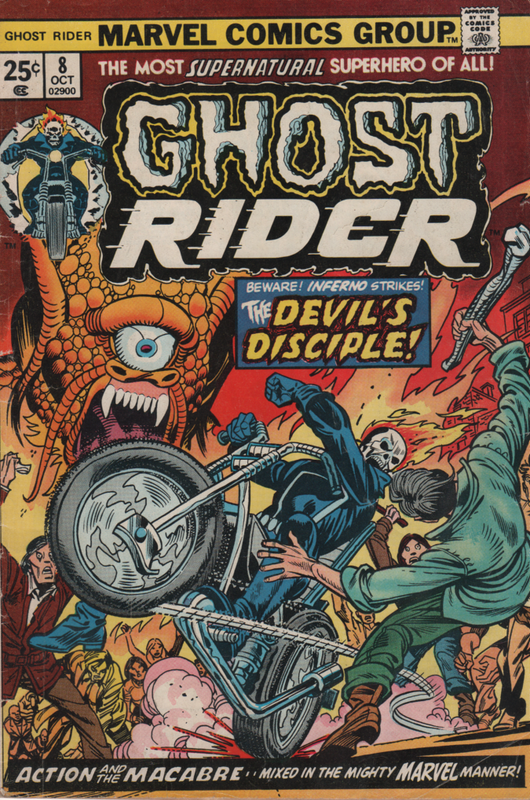 Back in the Bronze Age, the Ghost Rider was packed full of devilish ideas, and it was certainly a sign of the times. 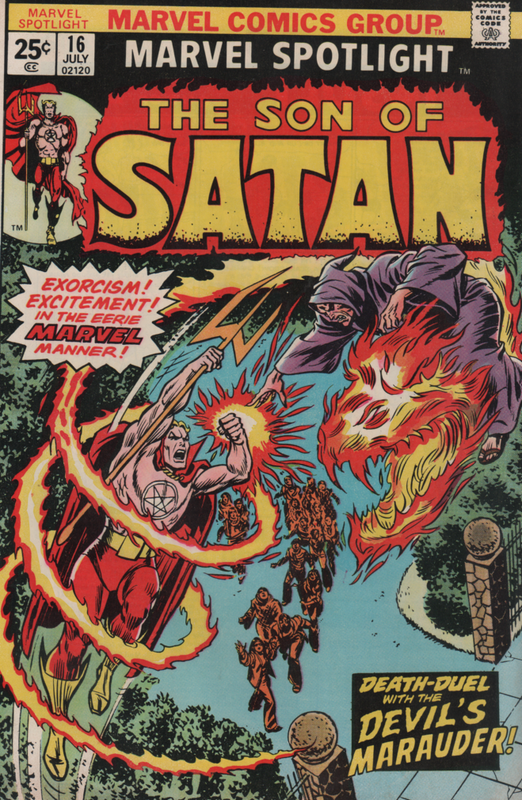 Many books featured cults, devils, and all sorts of satanic shenanigans. 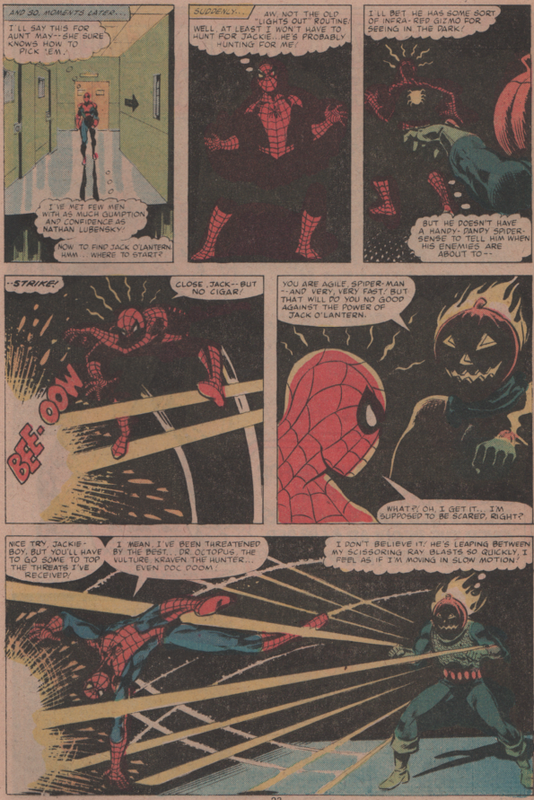 From the beginning of Ghost Rider’s days in comics, he was wrapped in these themes, and for the most part still is now. There have been different iterations but in the end, the character can’t get away from that aspect of his origin. 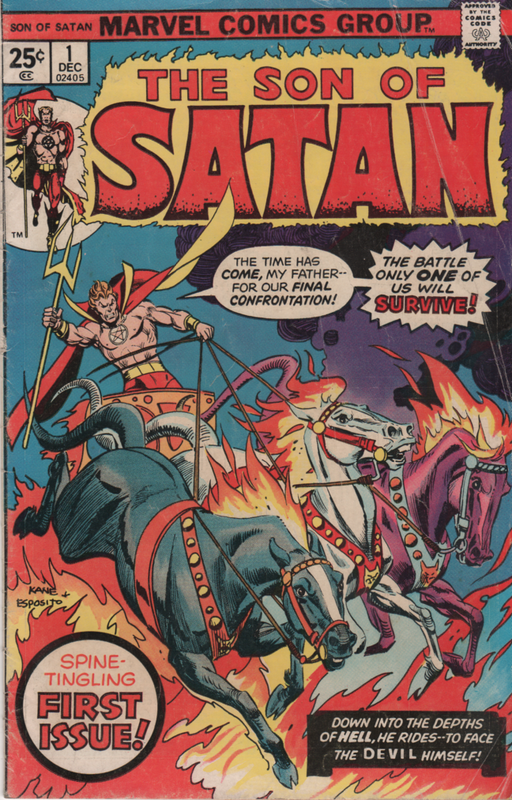 This particular issue features not only the flame-headed, motorcycle riding man/ghost himself, Johnny Blaze, but a new villain named Inferno, and the coup de grâce, Satan himself! 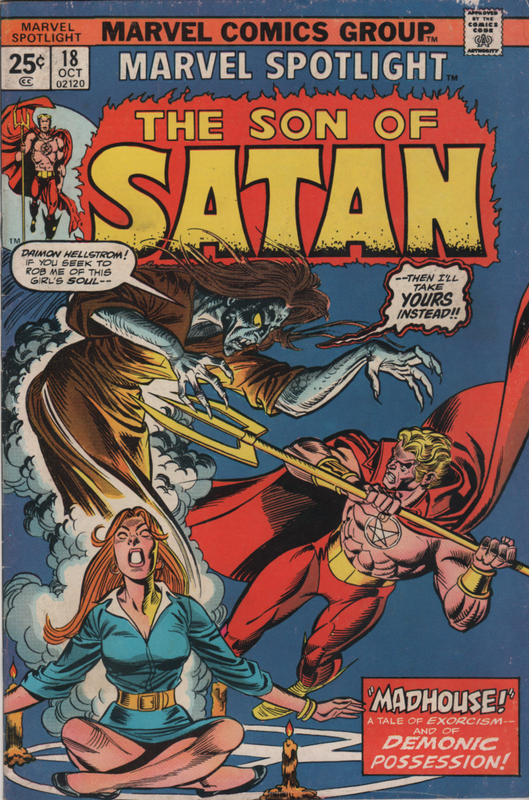 For a very long time there was an unwritten rule at Marvel that God and Satan (post Comics Code Authority) were off-limits to comic books. 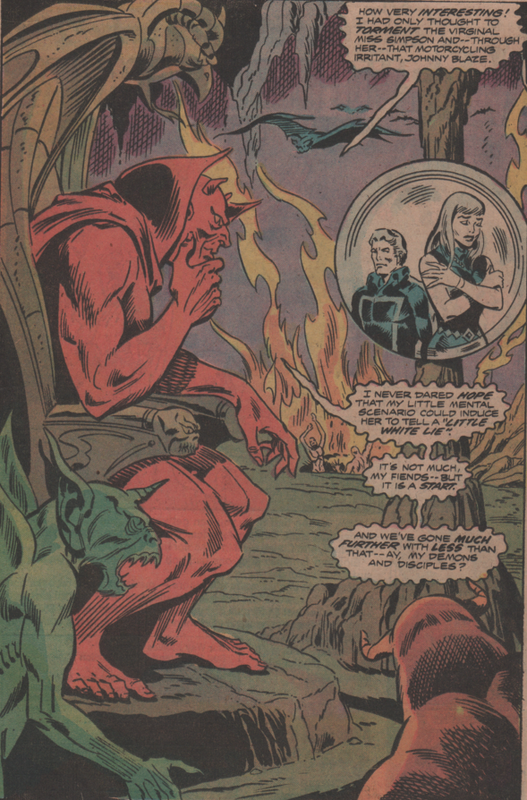 On a few different occasions, Marvel tried to explain away any appearances by Satan, in saying it wasn’t really “Satan” but some other lesser demon masquerading as the infernal devil. Why they felt the need to back-peddle or avoid the situation totally, I can’t be certain (because nothing makes sense since we’re talking about fictitious characters in comic books, but again, probably the Code), but certainly in years to come things would change. 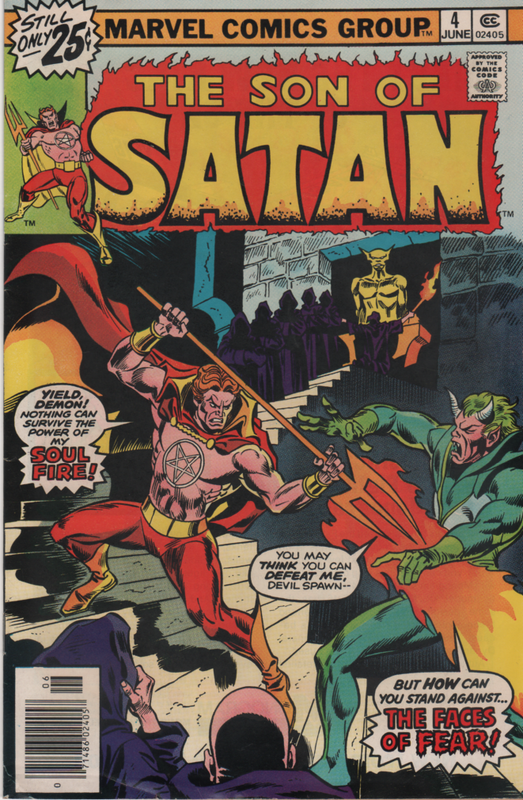 There is a story that the writer (Tony Isabella) tells about how he wanted to eventually name a character he created in this series as being God/Jesus, but an editor changed the story before it was printed. Not the first time we’ve heard of this going on, and I’m sure not the last. 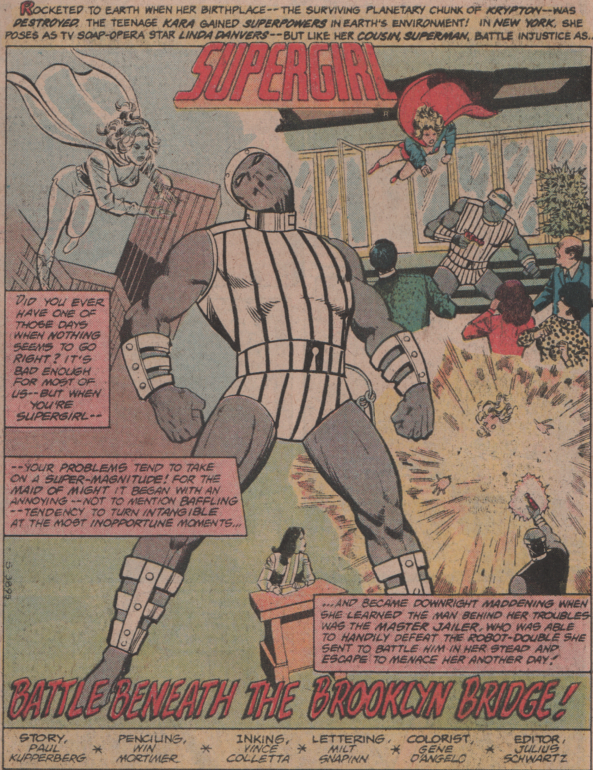 The story was written by Tony Isabella, who went on to create characters like Black Goliath, and Black Lightning (for DC comics). 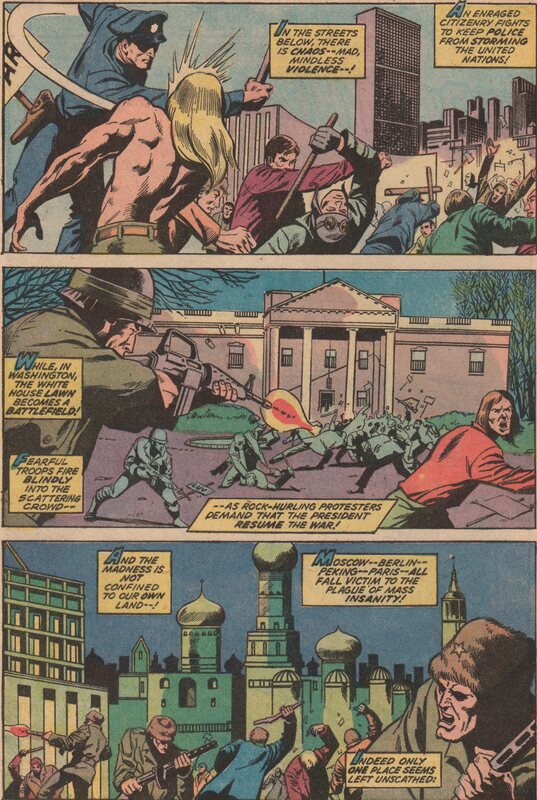 The art team consisted of Jim Mooney (pencils), and Sal Trapani (inks), both of whom were seasoned artists by this time period. 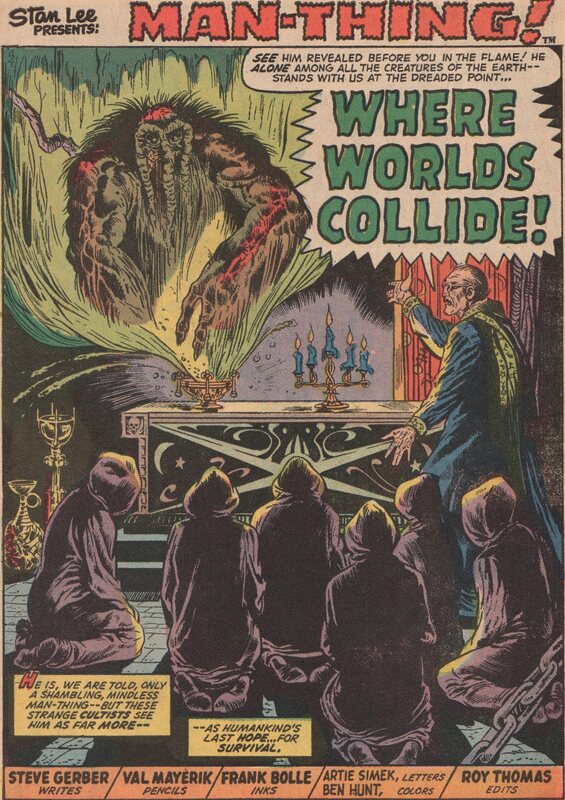 Since the Golden Age, Mooney and Trapani worked steadily in comics. 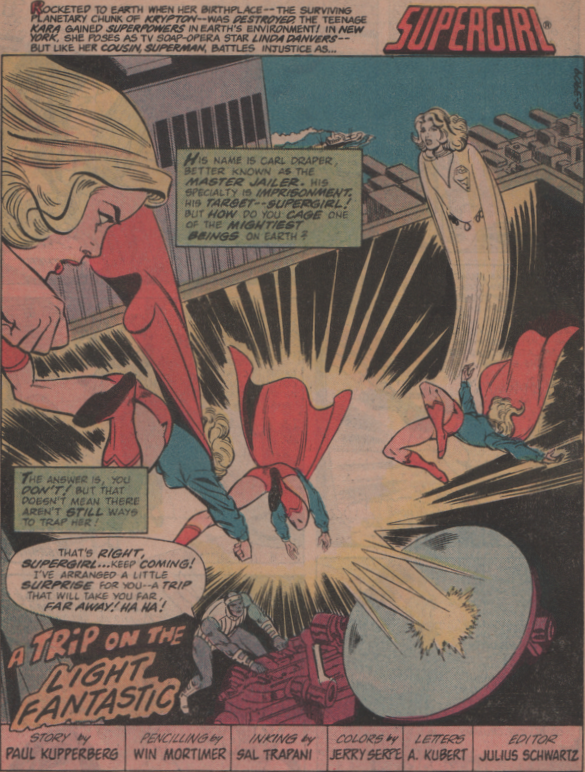 Mooney most notably for DC comics on Supergirl, and Trapani for his inking during this very time period (plus his work for Dell comics earlier). 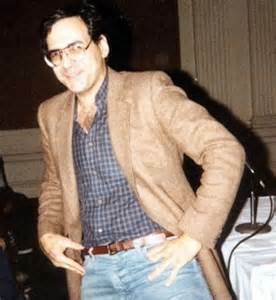 Phil Rachelson was the colorist, and John Costanza the letterer. Again , two names most know from their consistent work in this time period. 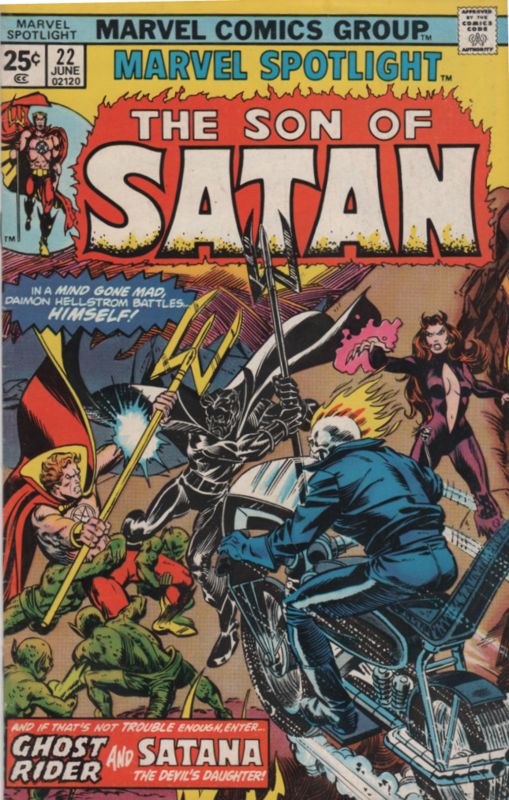 The book was edited by Roy Thomas. 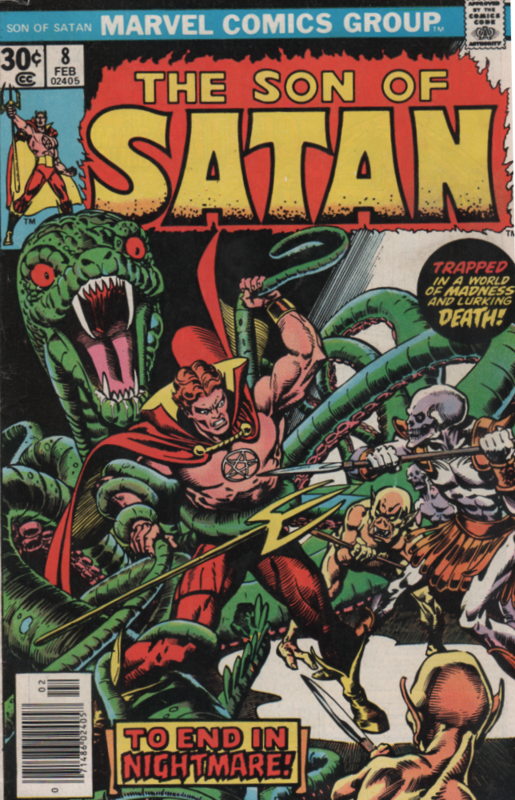 The magnificent cover is by the legendary Gil Kane (pencils) and (long time inker/artist) Dan Adkins! Look out, here comes the Spider-Man! 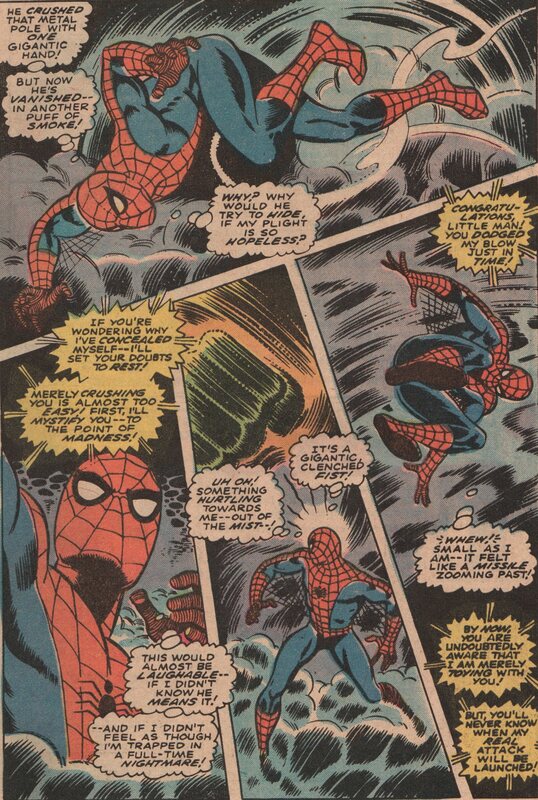 By 1980, Spider-Man was already the company darling at Marvel for quite sometime, and rightly so. His title was the best long-term book that was still performing at a high level. Not much of a down time as far as content, other than the issue here or there, it was solid. 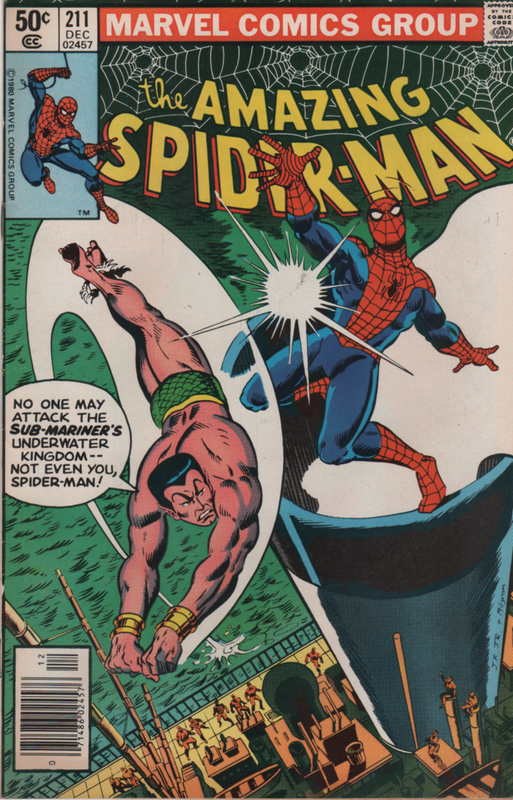 This issue shows a lot of the normal fair in Aunt May, Debra Whitman, ESU, etc., but the big draw of this issue is none other than Namor, The Submariner! 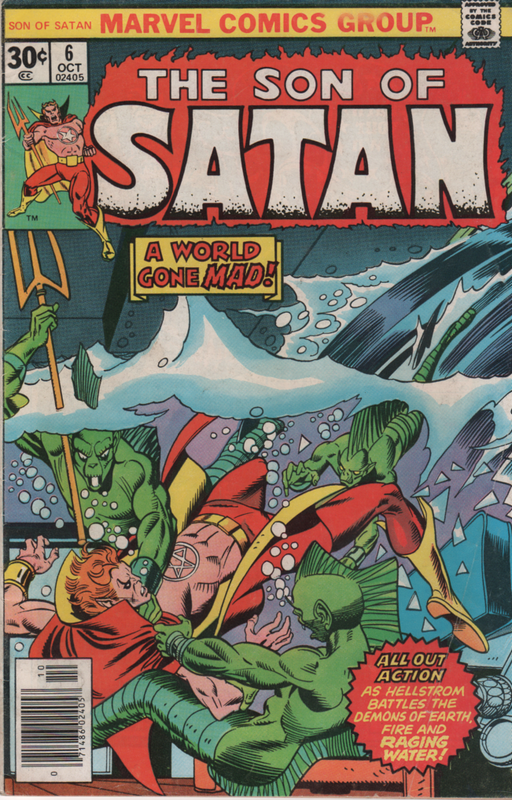 He’s peeved at the surface world once again, and is riling up his minions, demanding that they take action! Seeing Subby getting enraged isn’t anything new, but it’s always fun! 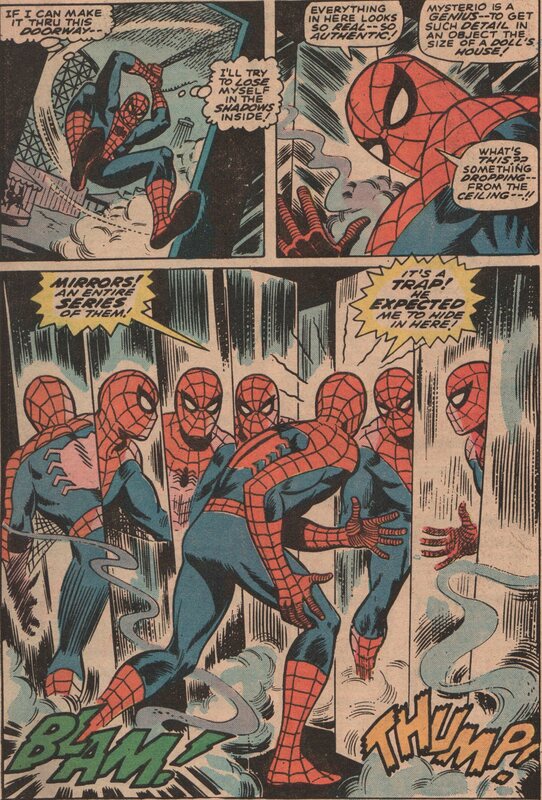 there’s also a good bit of panel time for Peter Parker, and that is always a welcome sight. 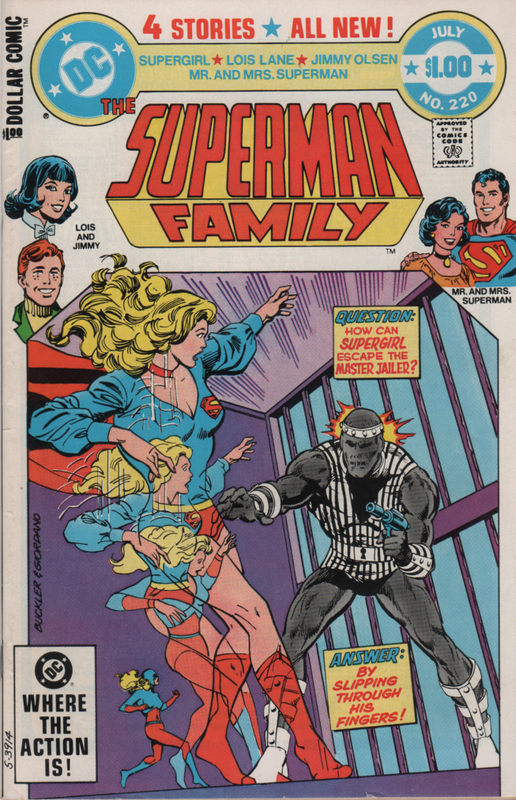 Written by Denny O’Neil, John Romita Jr. pencils, Jim Mooney inks, Jim Novak letters, and a cool cover by JrJr and Al Milgrom! 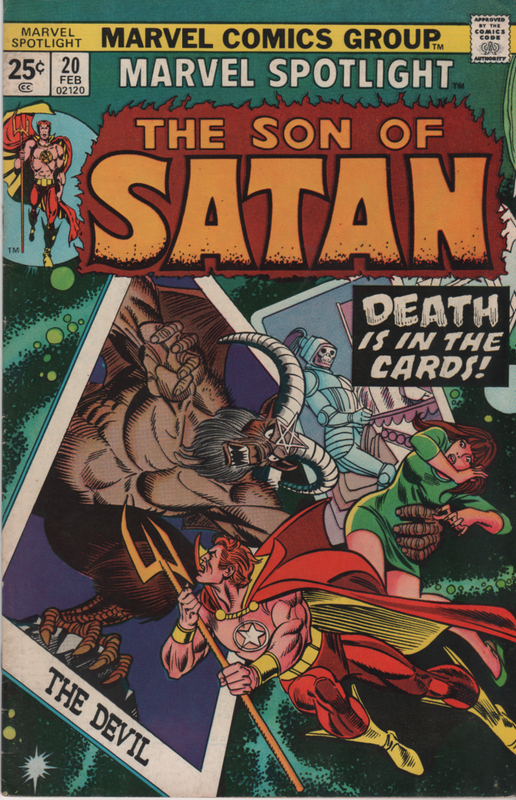 Marvel Comics – The Son of Satan! As I close in on finishing off a few different runs of comic book series, one in particular has me jazzed. 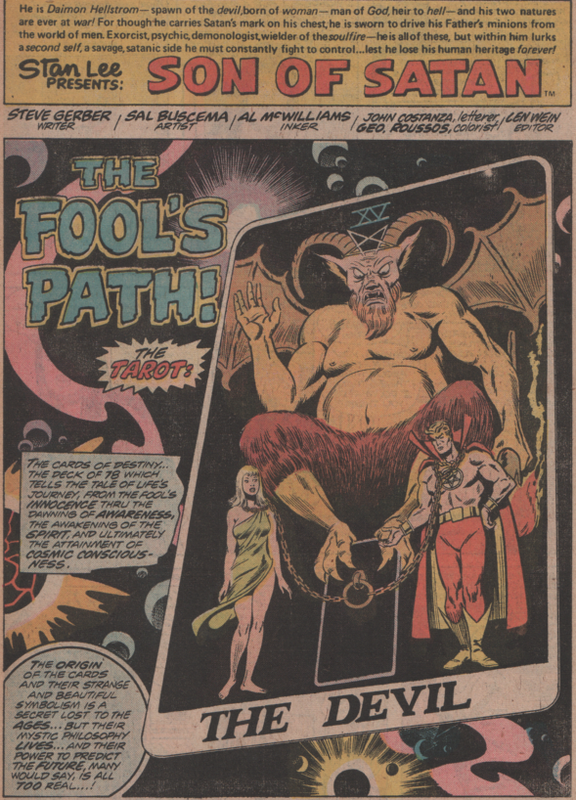 Marvel’s attempt to popularize a character during the 1970s cult craze was successful as far as lasting power. 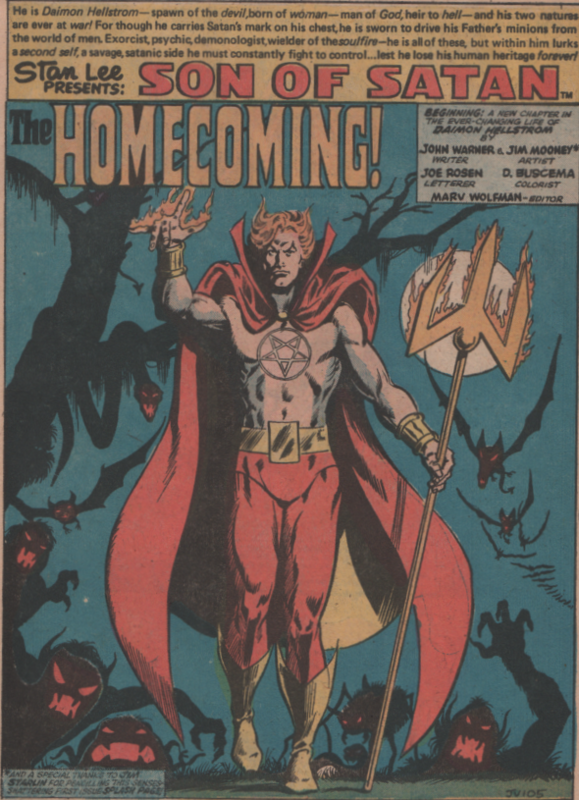 Daimon Hellstrom has appeared as recently as 2016, and is still a name that carries weight. Definitely more of a fringe or “B” – lister, but he has been in solo books, team books, limited series, and so on. 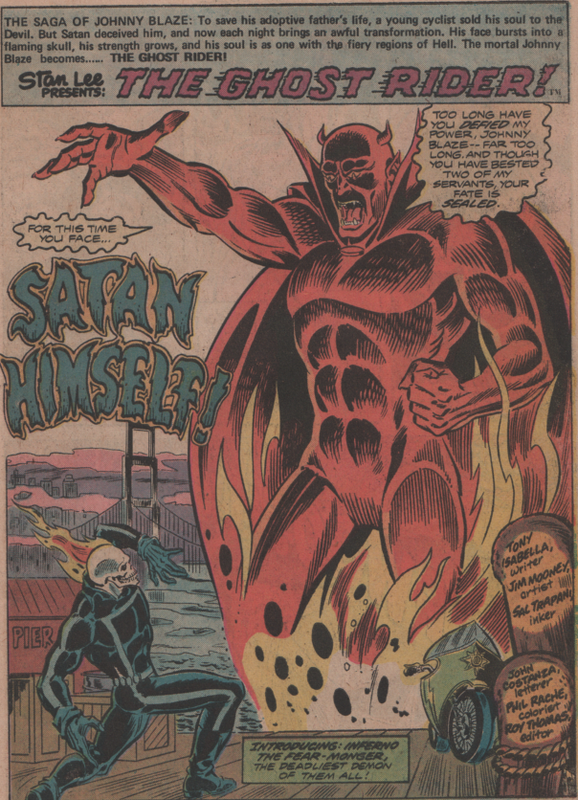 First appearing in the pages of Ghost Rider vol. 1, number one, he quickly transitioned to Marvel Spotlight, then his own solo title until its cancellation with issue number eight. 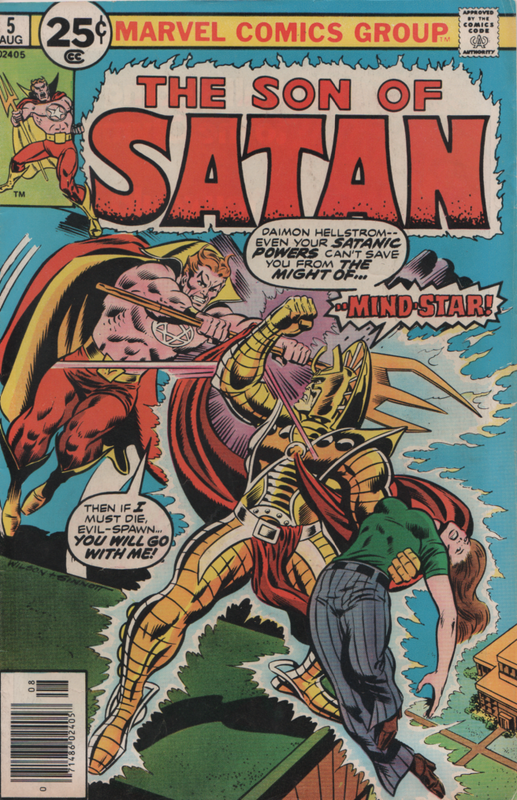 The fact that Marvel published a title/character with this name and origin back then is wild. 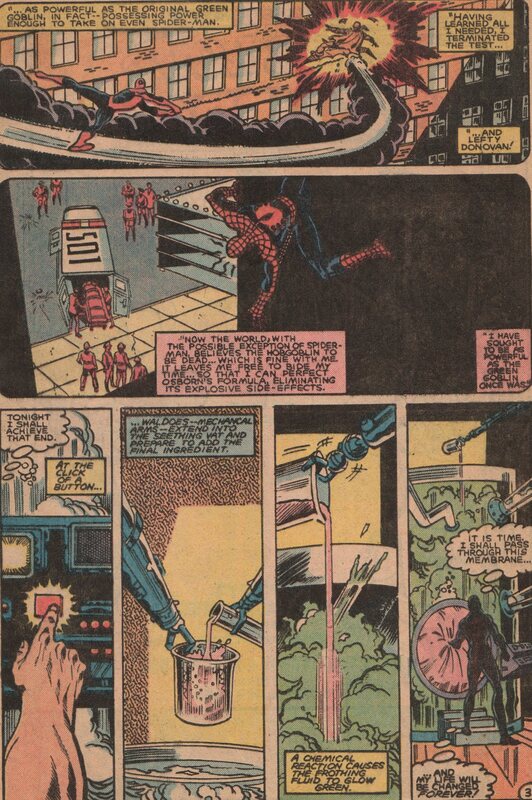 Yeah, times they were a changing, as was the comic book code. Still, think about the 1970s and many groups (religious, political, etc.) would’ve been vehemently opposed to this material. Just on face value, it’s understandable, but when you actually read the material, you’ll find out that not only is the lead character a hero, but that good>evil every time. Yes, that can get a little one-note, but as the years go by, Daimon will make some decisions that are questionable, and feel the pain of loss as well. So you do get some variety for sure. 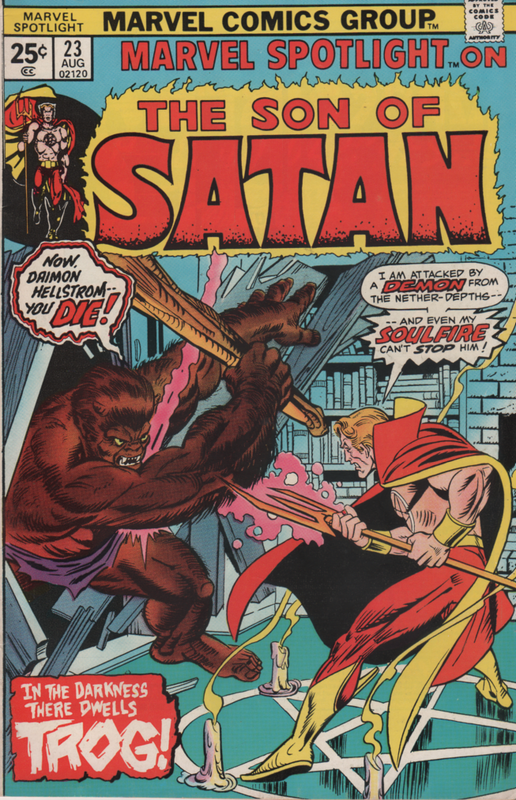 With creators such as Steve Gerber, Sal Buscema, Jim Mooney, Bill Mantlo, Sonny Trinidad, John Warner, Gil Kane, Russ Heath, Sal Trapani, Dave Hunt, Rich Buckler, P. Craig Russell, and so on, these books are nothing short of stellar! 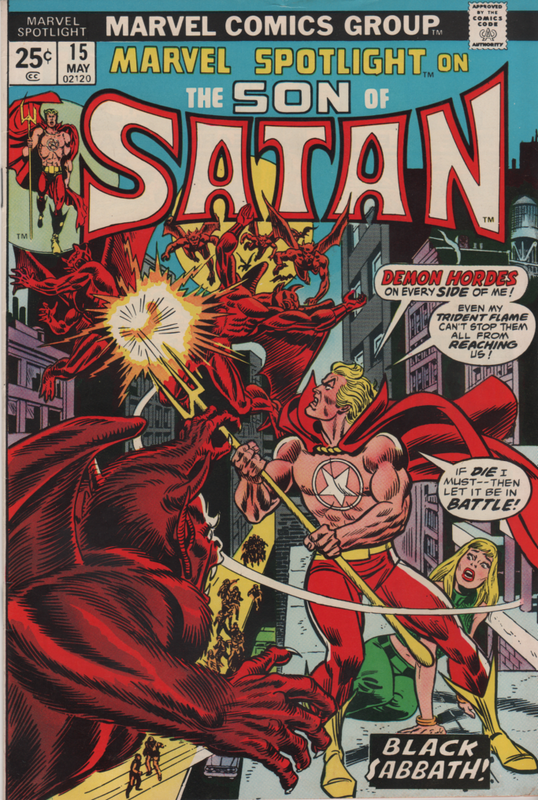 The stories varied from super-heroics, to battles with a myriad of demons and demi-gods, and even Satan himself! 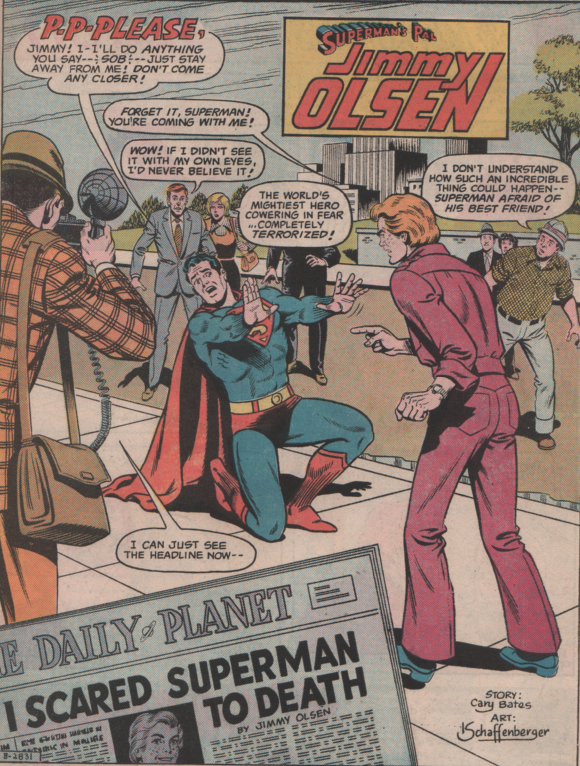 It is interesting to see how the different creative teams portrayed his demeanor, powers, and actions. Sometimes he was hot-headed, other times he would be cool, calm, and collected. 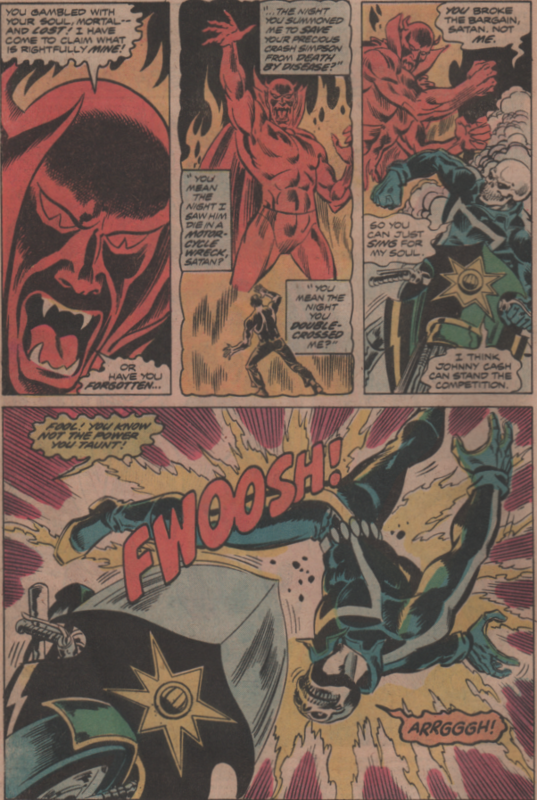 Either way, he’s been a solid character throughout the years that has always been around and kicking up dust (definitely check out his run in The Defenders vol. 1 as well). 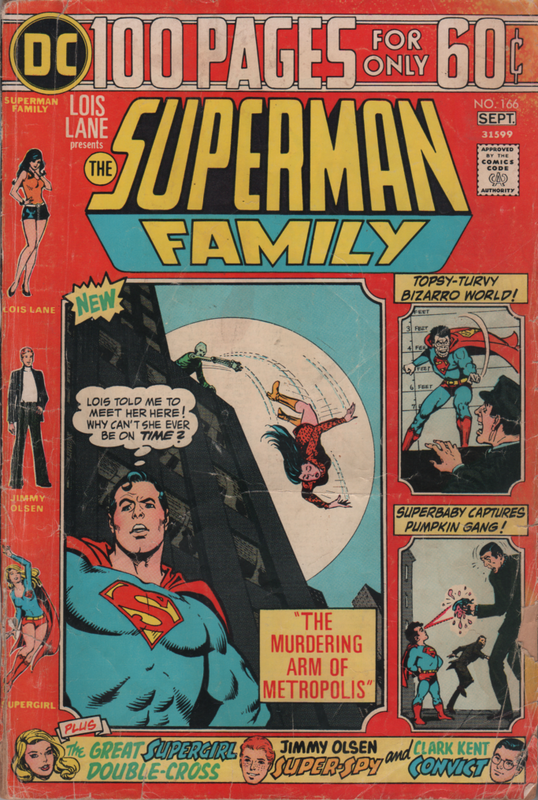 DC Comics The Superman Family! 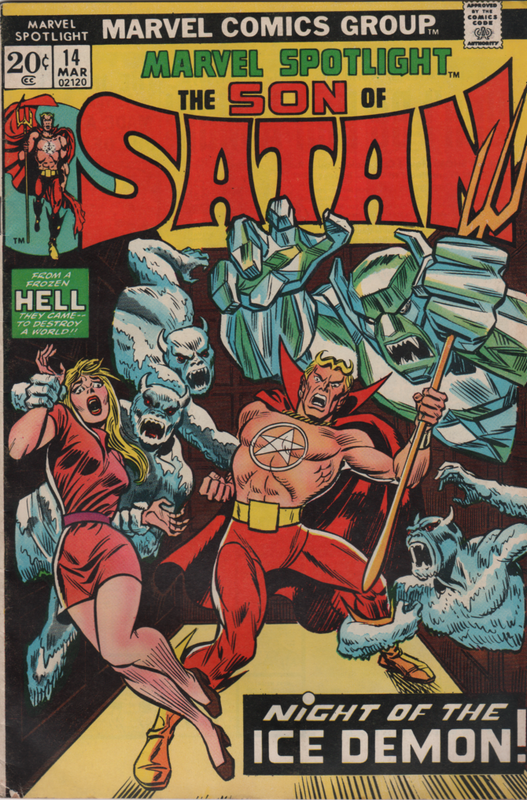 A while back I spotlighted the very first issue of this title I bought (#166), because I thoroughly enjoyed how campy the stories are! 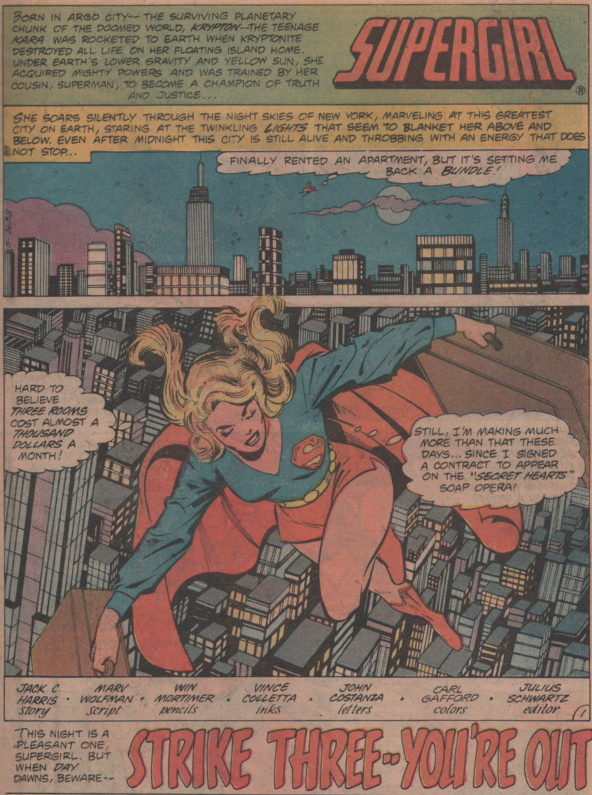 Typically more adventurous or serious comics catch my eye but the DC comics from the 1960s and early 1970s are absolutely fantastic. Most of the time I get a laugh from the content although that wasn’t the intended purpose back in the time when these were written. 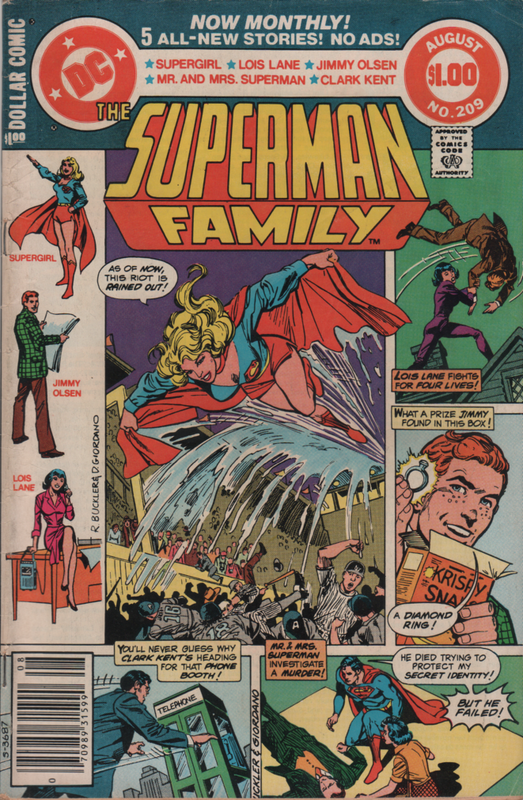 Whether it was Lois Lane, Jimmy Olsen, Supergirl, Superbaby…or Bizarro, you see some very strange, bizarre, and highly entertaining stories in these books. 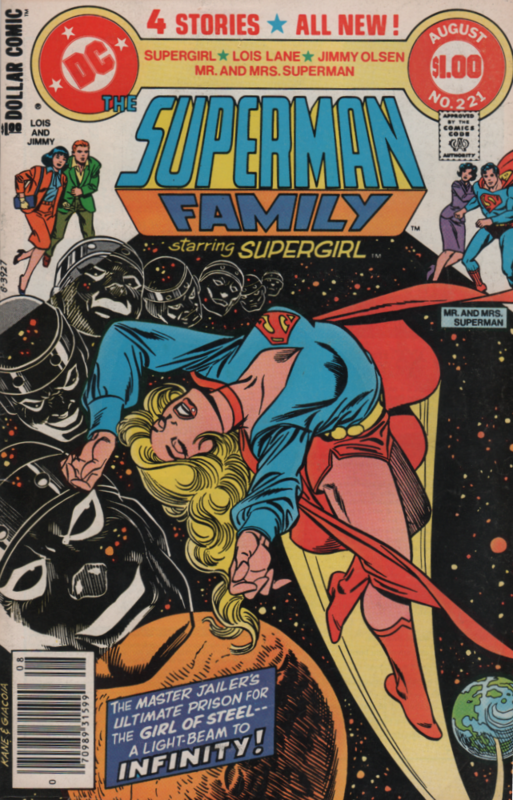 All the issues have a good mix and the later issues have a big focus on Supergirl (which is fine by me because I don’t own many comics with her featured in them). 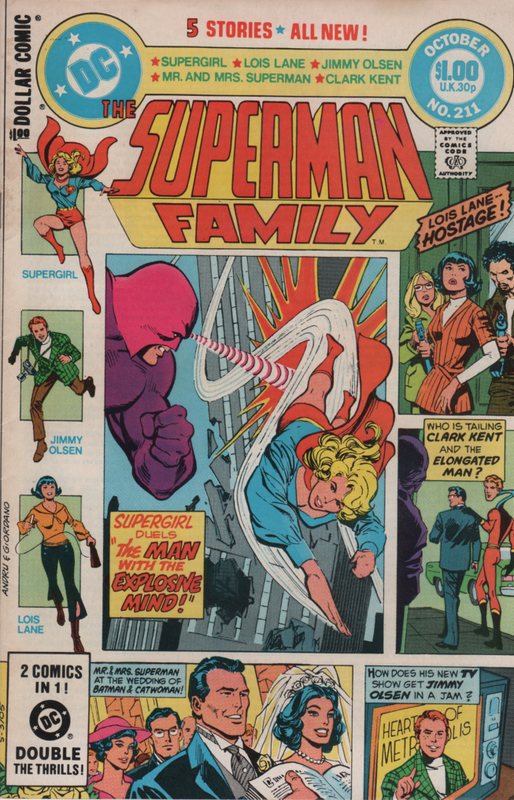 For any fan of Silver or Bronze Age wackiness, action, and Super-people, these are the books for you! 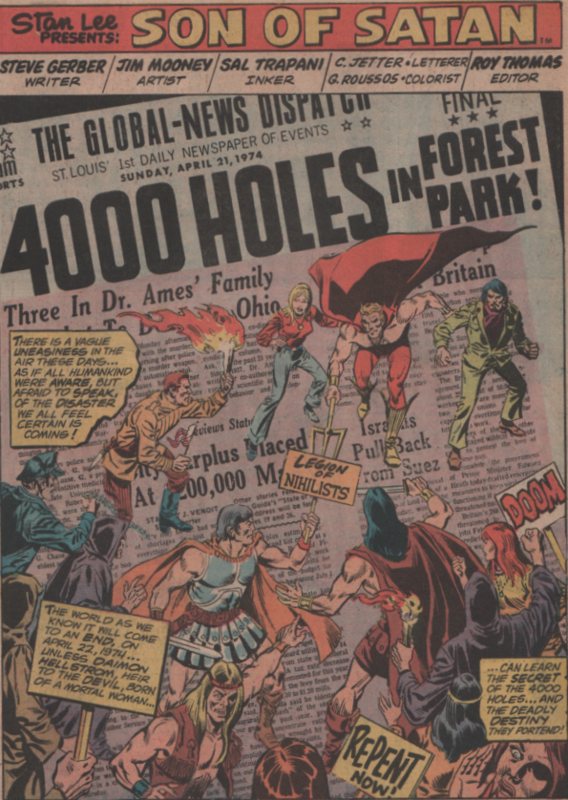 As the 1970s were in full swing, Marvel really started pumping out titles, reprints, magazines, etc. 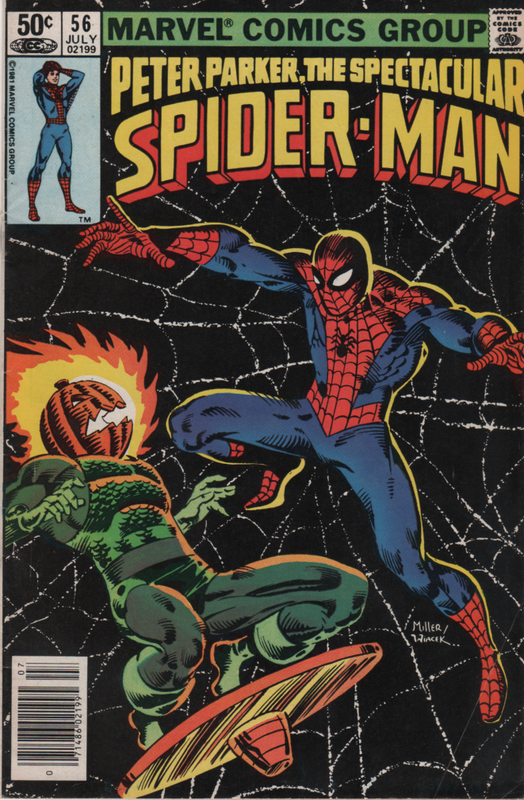 Their biggest seller by this point was undoubtedly Spider-Man! 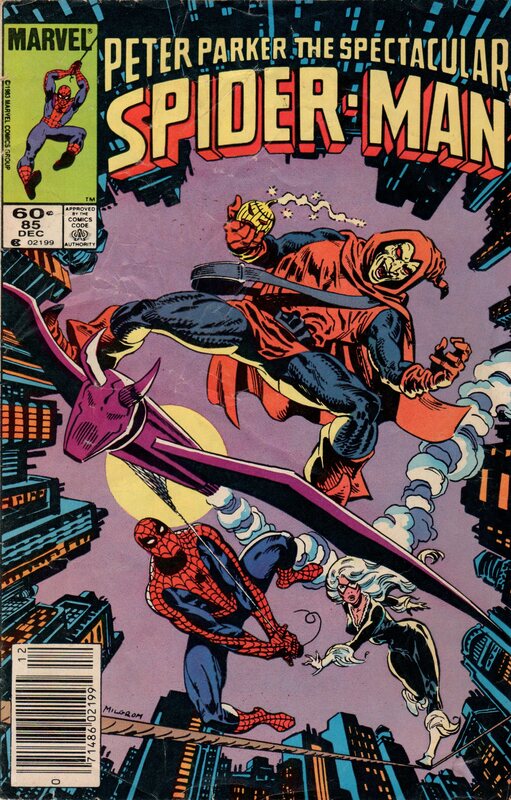 He was the company flagship, and midway through the decade, he had a spinoff title, called Spectacular Spider-Man. It was a solid title most of the time, and worth picking up. It would sometimes introduce young talent that would alter become huge in the industry. 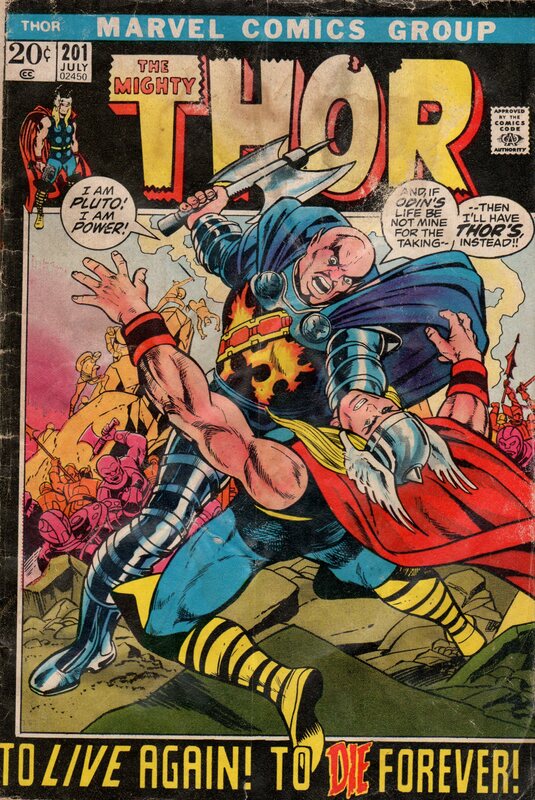 Case in point, the cover by Frank Miller (and inks by Bob Wiacek). 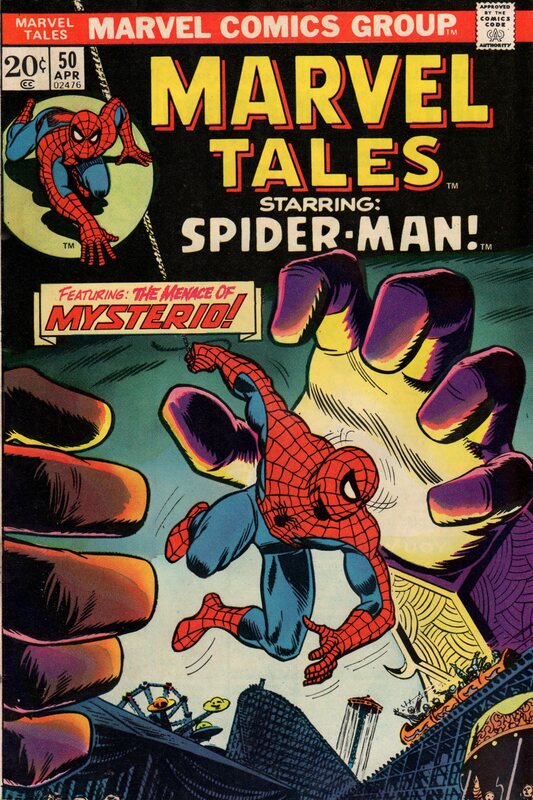 By 1980, Spidey had multiple titles, reprints, a live action TV show under his belt, you name it. 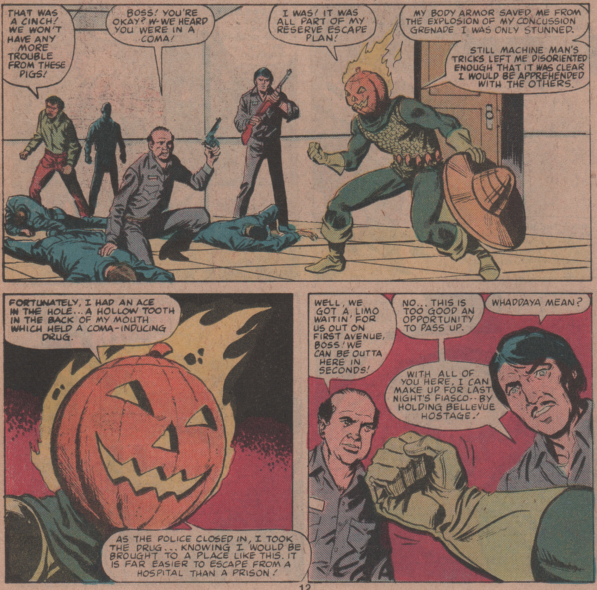 This story revolves around the second appearance of Jack O’Lantern, and his rampage in NYC (stemming from his first appearance in Machine Man 19…believe it or not!). 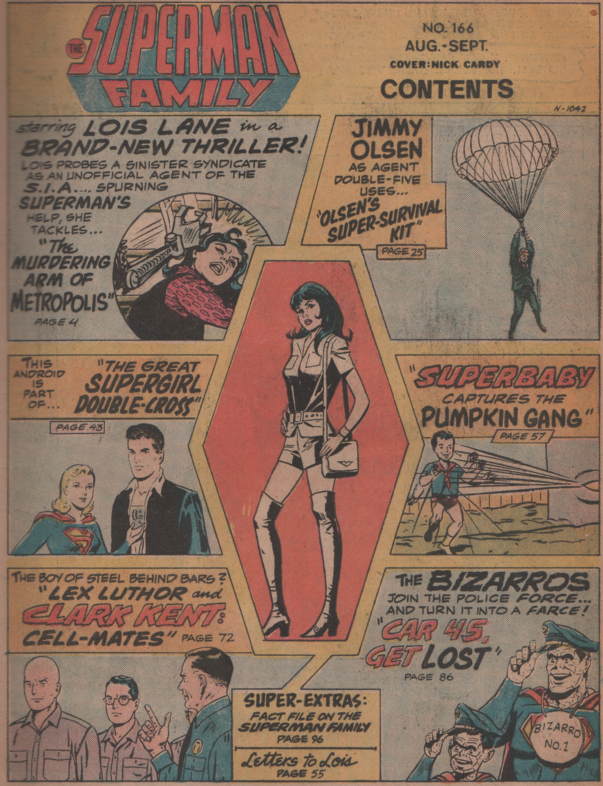 The interior art and story is literally a murderers row of talent. 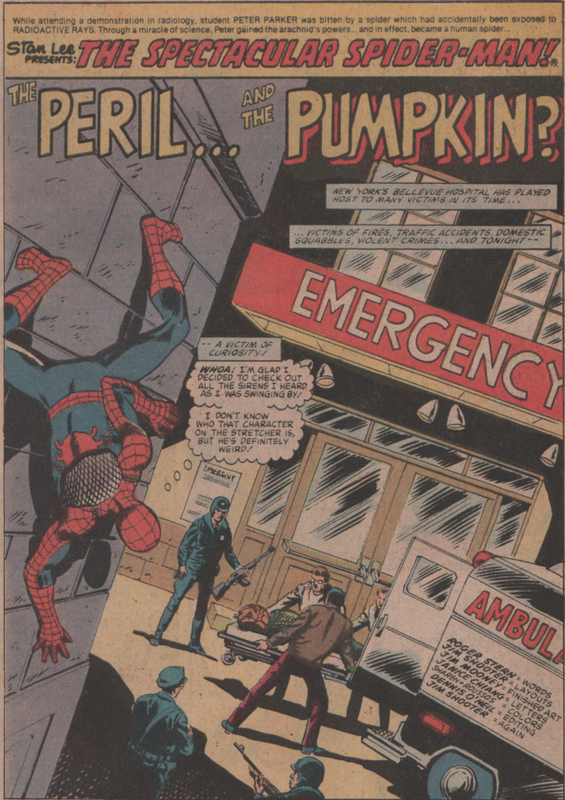 The story is by Roger Stern, who wrote some excellent Spidey stories in the 1980s (along with Captain America, Dr. Strange, The Avengers etc.). 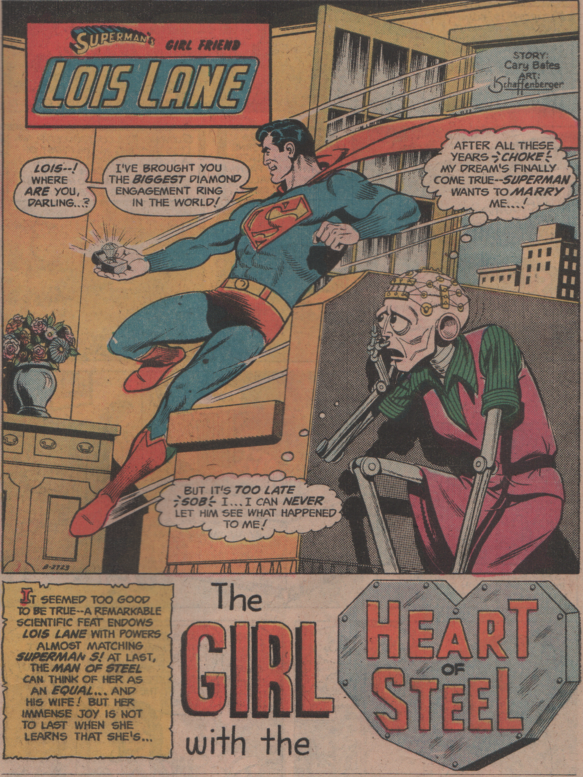 The layouts are by the former EIC himself, Jim Shooter! 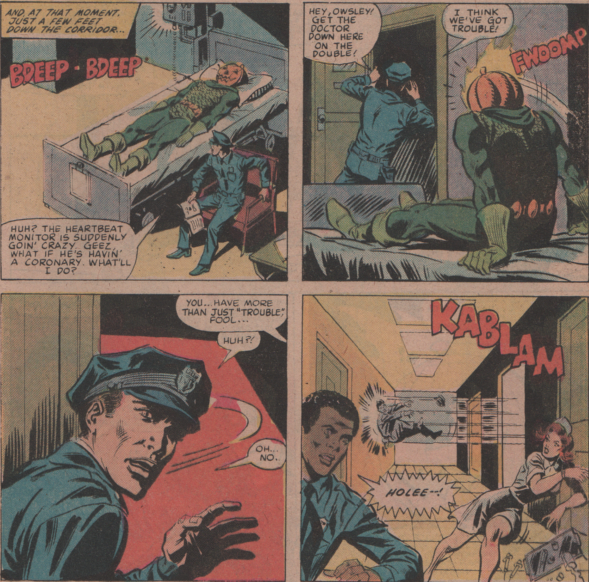 The finished art is by a comic book mainstay and a very underrated guy, Jim Mooney. 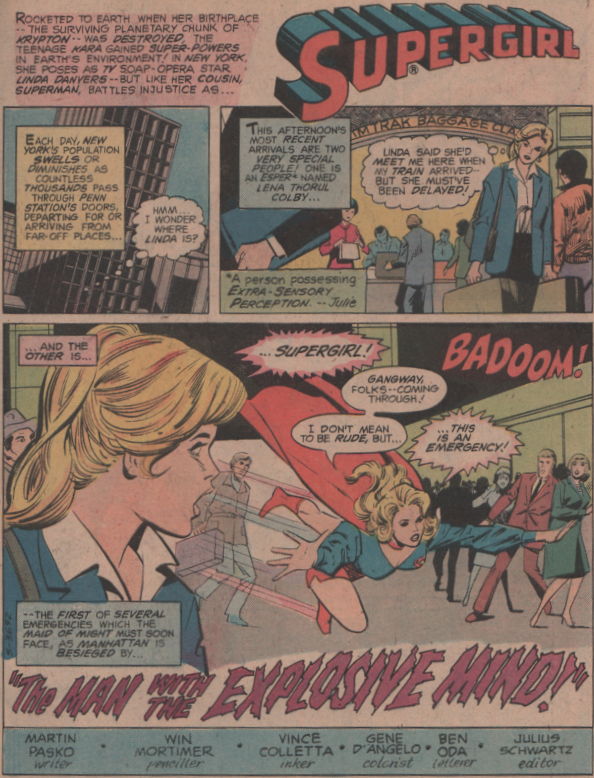 Colors by Bob Sharen and George Roussos, letters by Janice Chiang, and edited by another giant of the industry, Denny O’Neil! 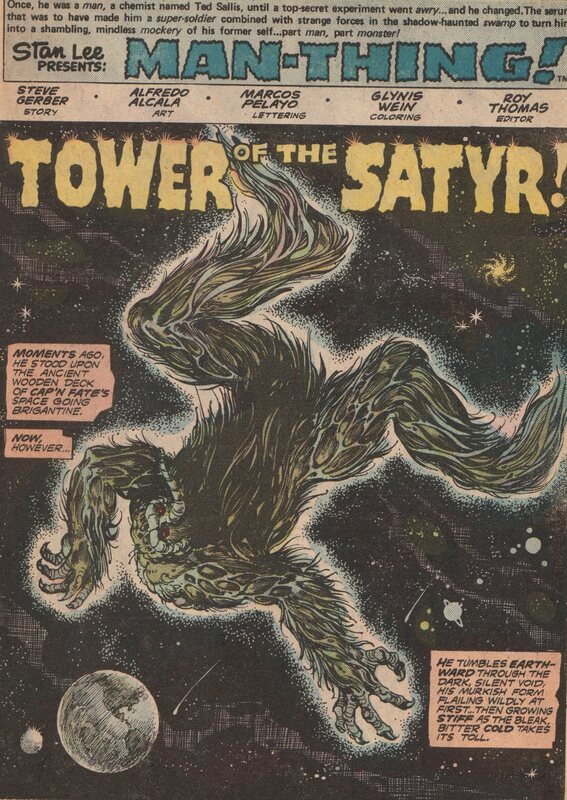 The Man-Thing! 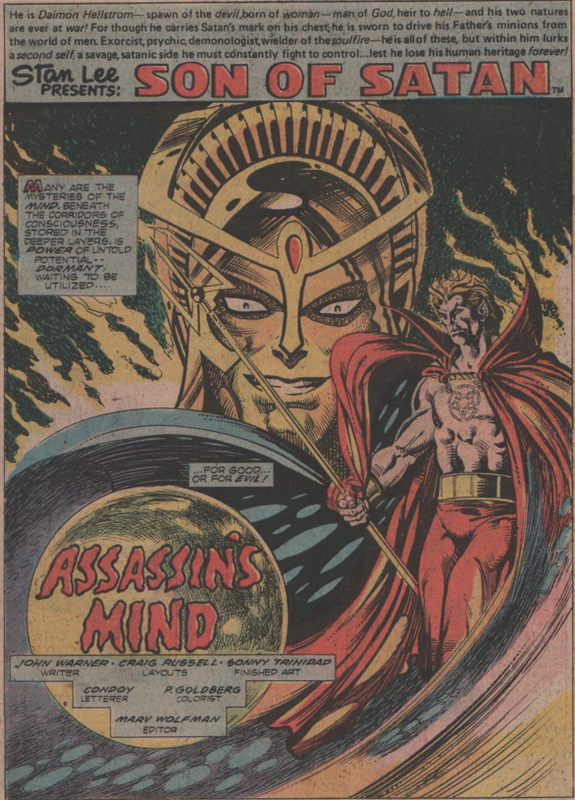 by Steve Gerber! 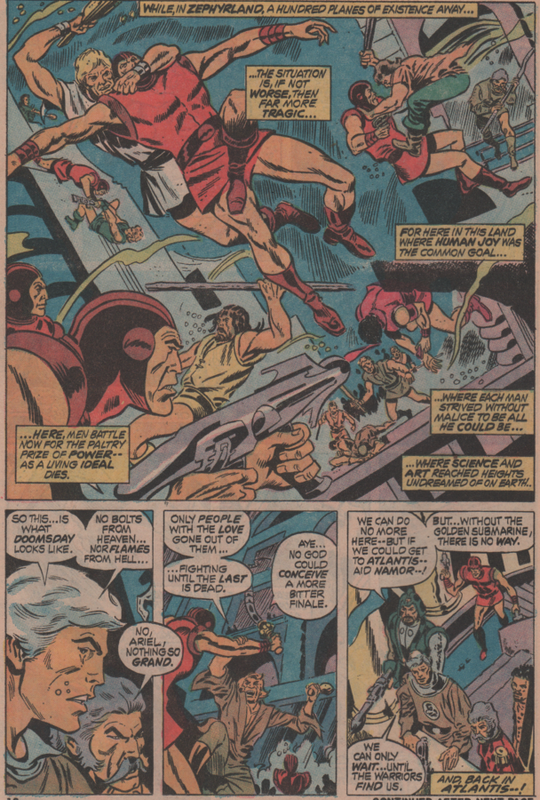 I know the Silver Age was the foundation for just about everything (except most notably Captain America, the Human Torch, and Namor) at Marvel, but the Bronze Age was the age that brought comics into the modern era, because it explored ideas that were previously ignored or even taboo. 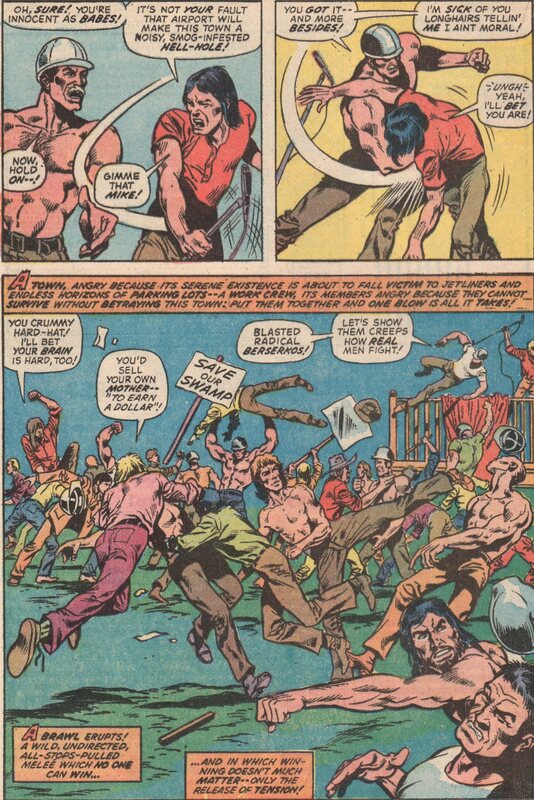 Drugs, violence, religion, you name it, this time in comics was exactly what the industry needed. 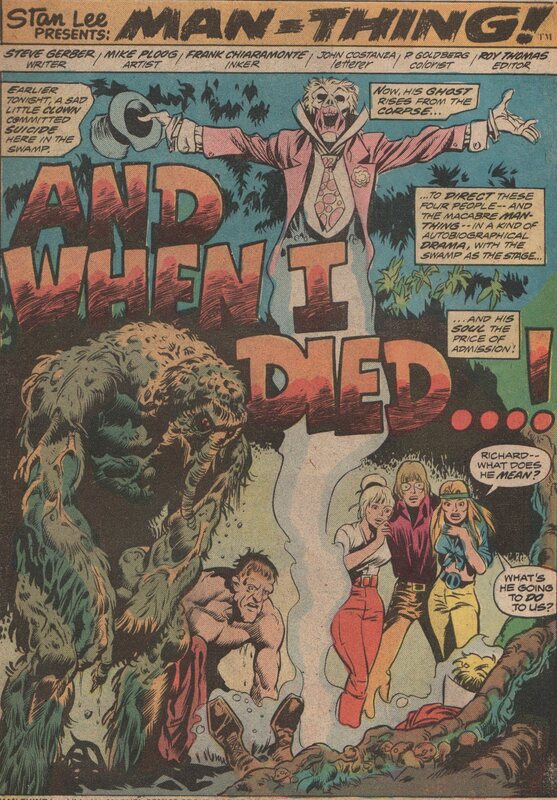 One of the creators that helped lead the way with his unique style of storytelling was Steve Gerber. He was a shot in the arm no doubt as the pages were filled with social issues galore, and along with his idiosyncratic style, humor, and tons of off-the-wall stories readers were enthralled with these books! Imagine if you will, trying to write stories in which the main character cannot speak. 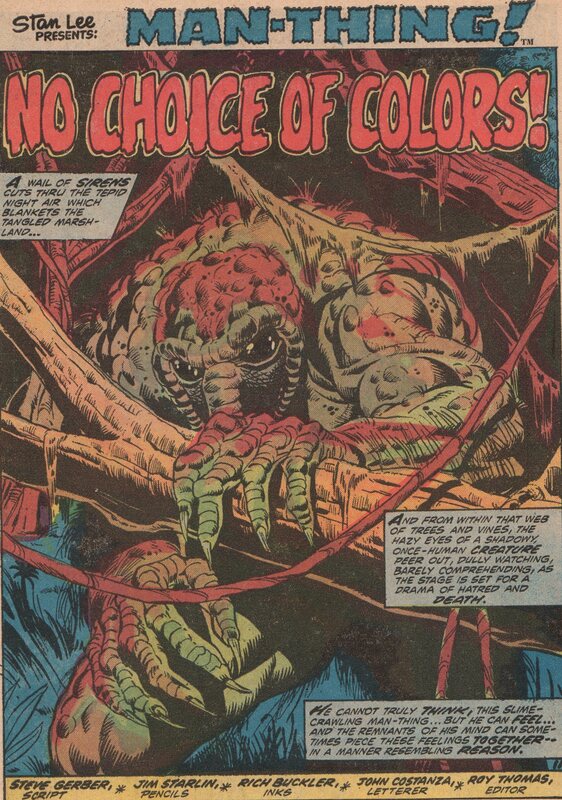 Taking over the character Man-Thing in only its third appearance, Gerber immediately turned the direction of the book/character from a straight up horror character, to one that is centric to stories with social issues, but you still get the horror angle as well (just not the main point of the story). 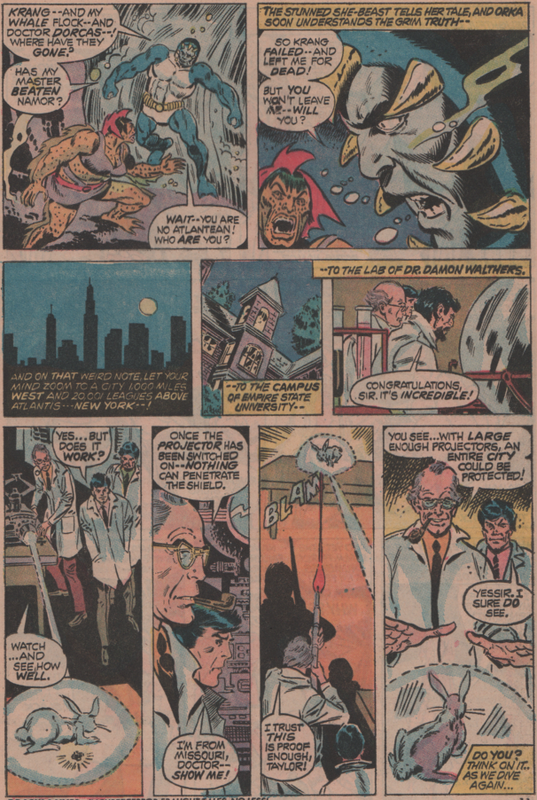 The issues of (Adventures Into) Fear that featured Gerber’s work did lean slightly more towards more horror than anything, but once Manny transitioned to his own title, the restraints were completely off. 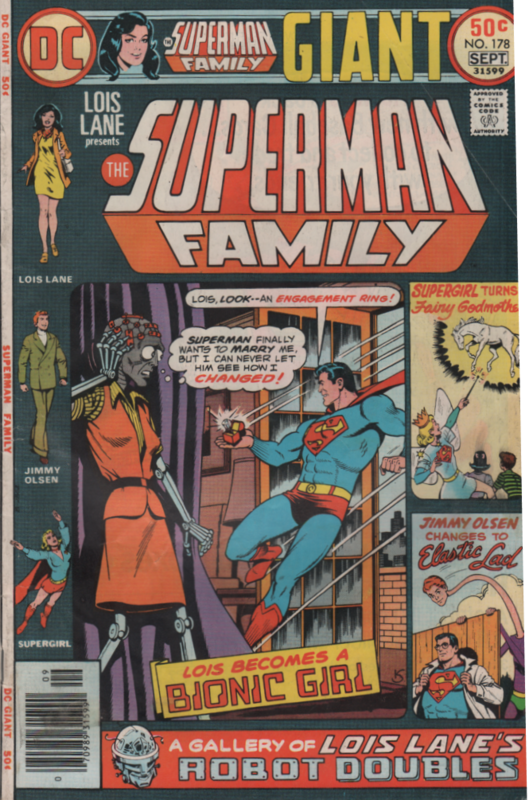 Let me be frank, Gerber could write any kind of story, not just one solely focused on social issues. 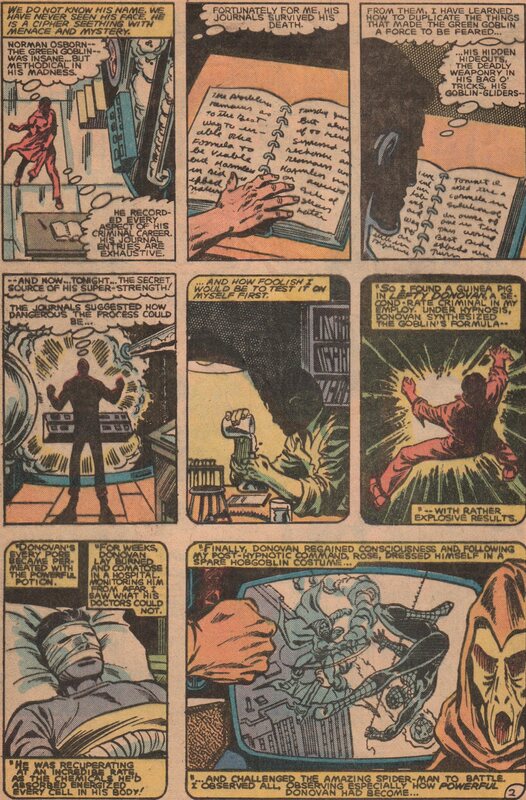 He actually would write an issue or two with that as the main idea (Fear #12, 16), but then turn around and write a few issues in a row of just straight up horror (Fear #13-15). He wrote superhero stories (check out his trippy Daredevil run, Marvel Two-in-One, Omega the Unknown, and Guardians of the Galaxy! ), and everything in between, but what most consider his crowning achievement is Howard the Duck. 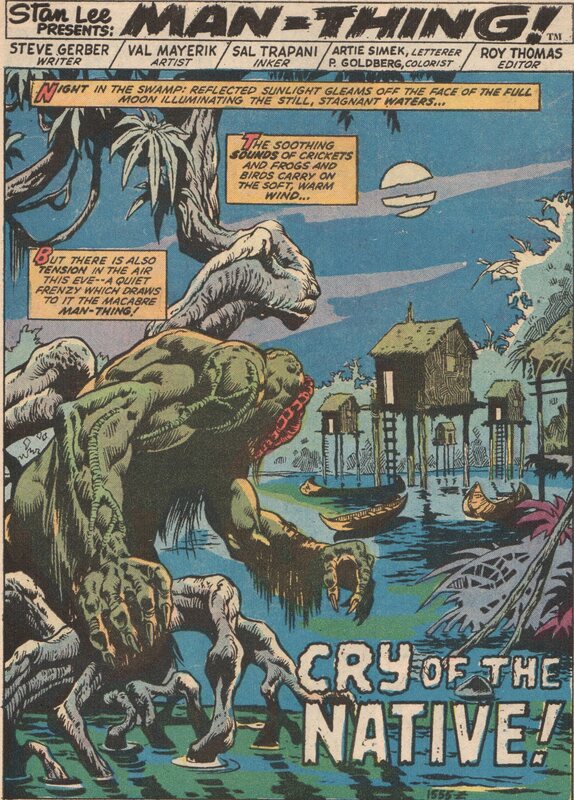 I’m partial to the Man-Thing stories though, and if you read them, I guarantee you’ll become a fan! 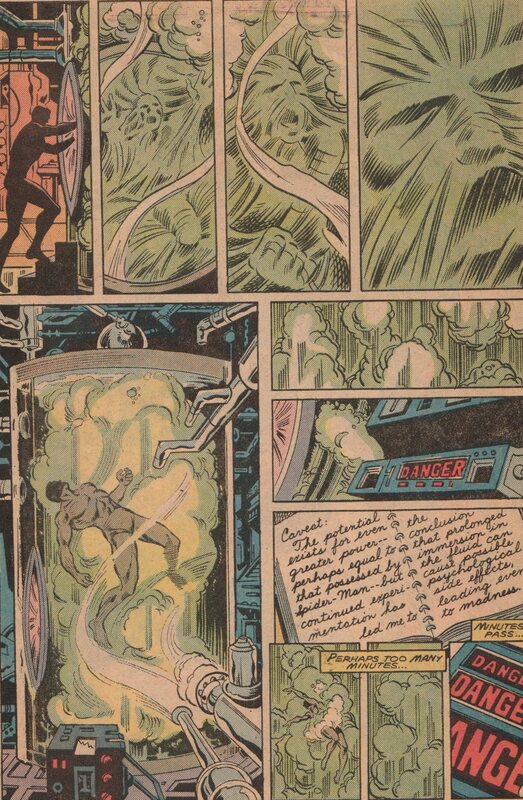 Check out these images that really drive home how awesome the Gerber Man-Thing is! Enjoy! After recently purchasing this issue, I checked it out and knew I had to spotlight it for everyone to see! 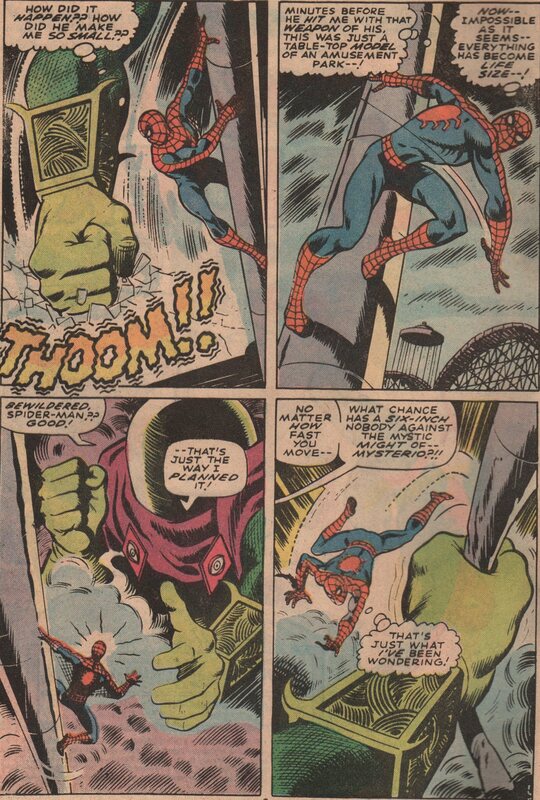 This story features a battle between Spidey and Mysterio! We now know that his forté is illusions, but back then, it wasn’t common knowledge. 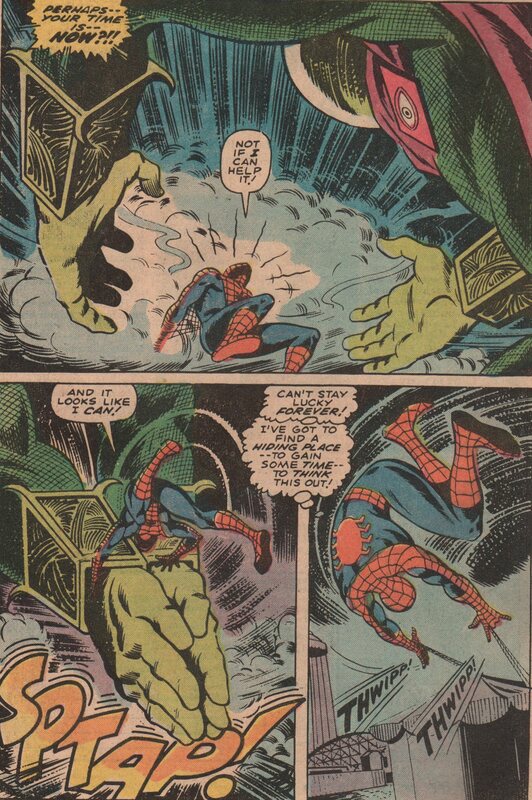 The story shows a miniature version of Spidey (six inches tall), having to fight his way through a fun house, all the while Mysterio is trying to kill him! There is some back matter as well. 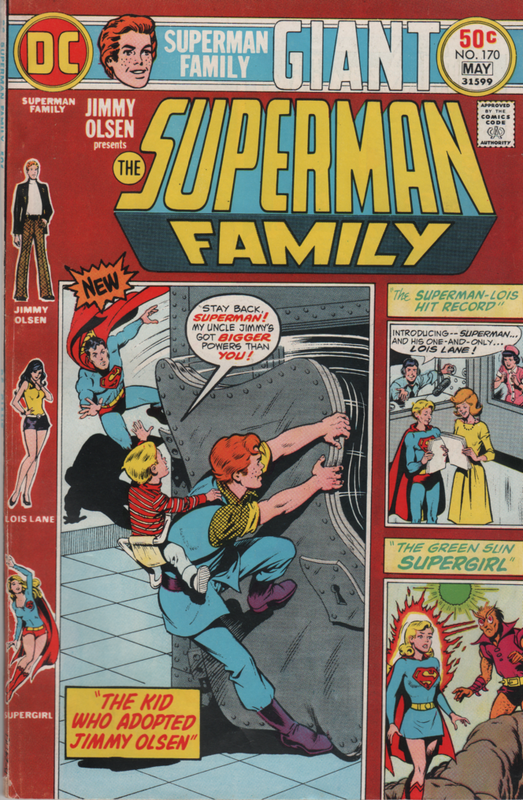 We see Joe Robertson having some issues with his son, and Gwen and her father, Captain Stacy. Great stuff, as the real world touches are what made Marvel tops! For those that love to denounce Stan “The Man” Lee (writer), ponder this for a moment. 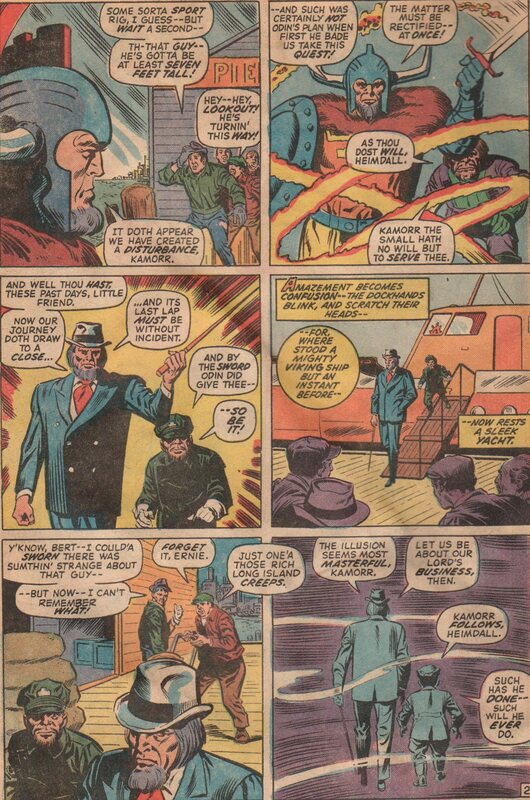 While it seems as though he’s given himself too much credit in the actual creation of Marvel’s Silver Age explosion, I don’t think you can take away the consistency of his scripting, and his exuberance in the real “selling” of comic books. 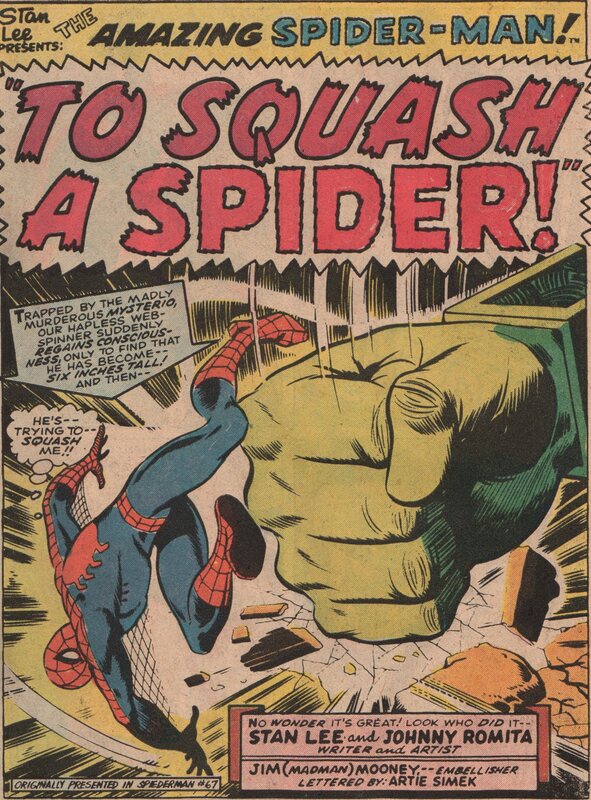 John “Ring-a-Ding” Romita (pencils) is one of the all-time greats of the industry. 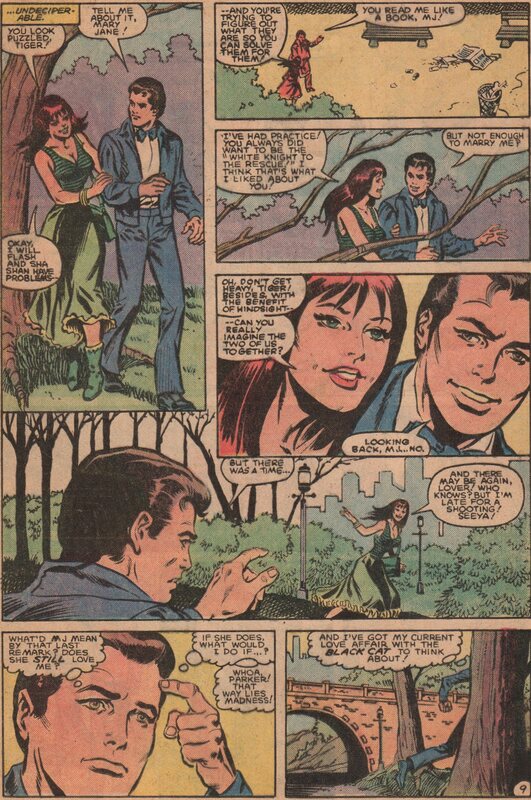 His romance work, inking, covers, and of course, his work on The Amazing Spider-Man are second to none. The inks (and finishes?) 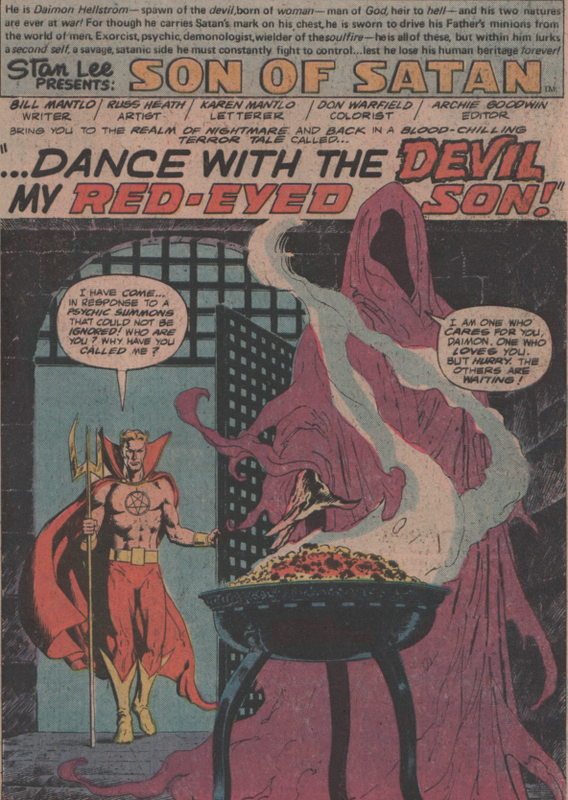 are by another familiar name from the Silver/Bronze Age in Jim “Madman” Mooney. 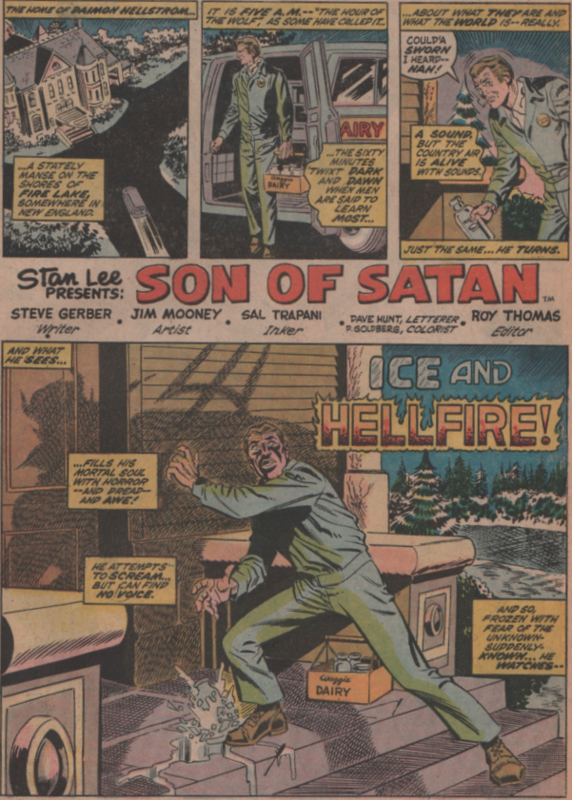 Throw in good old Artie Simek (letters), and that rounds out this awesome team of creators! 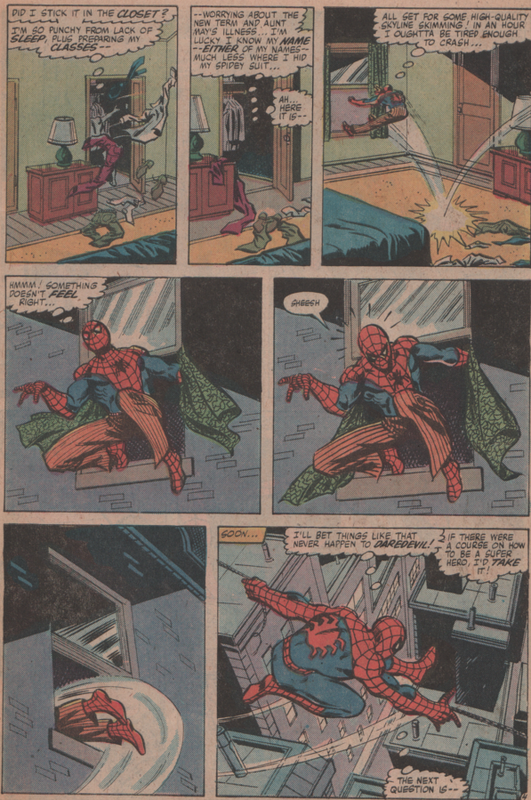 I don’t have very many issues of Spidey stories from the 1980’s for some reason. 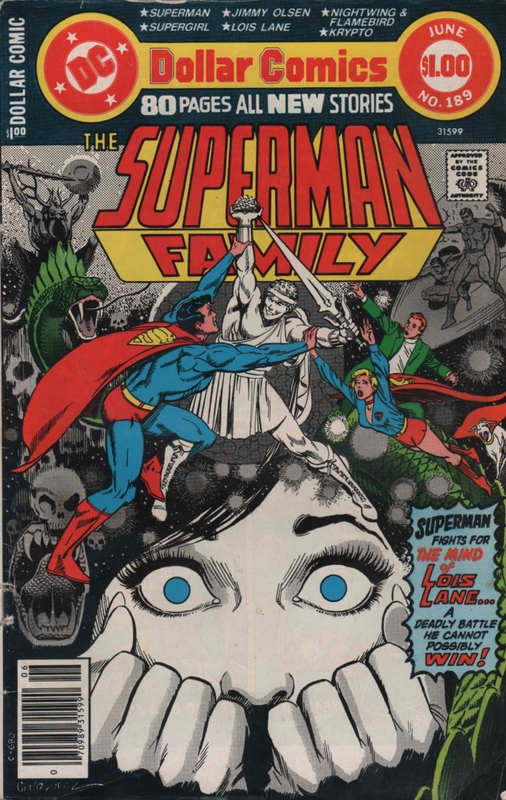 Just a few scant issues, but issues that have a very good story and creative team behind them. 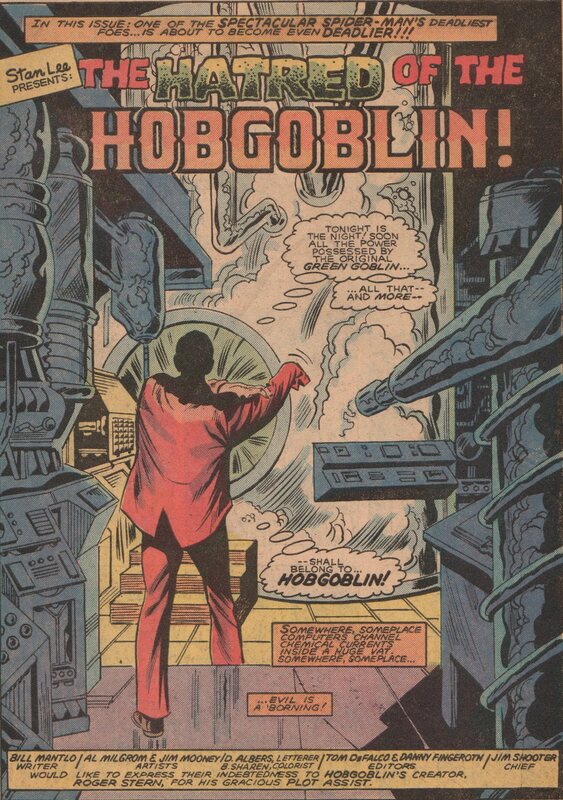 In this story, we see the “birth” of the Hobgoblin! 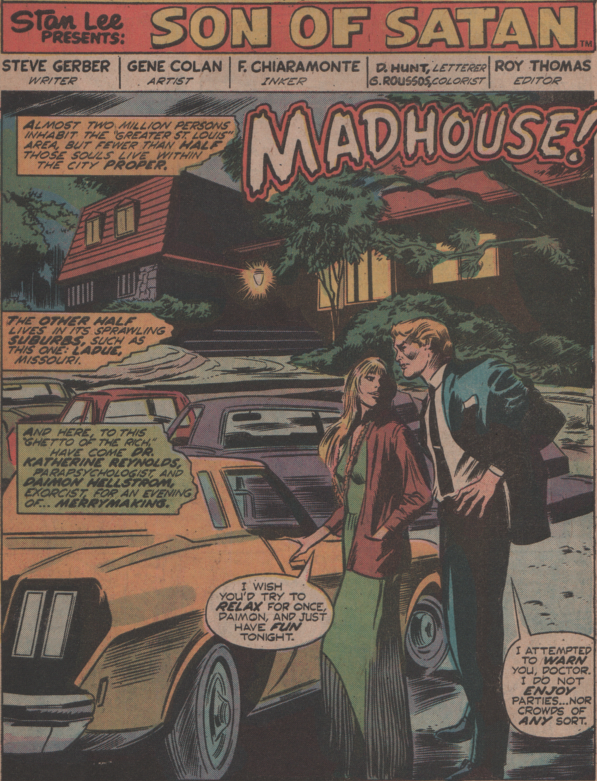 Roger Stern was the architect of this character, and he really turned up the drama and mystery during his run on the book. 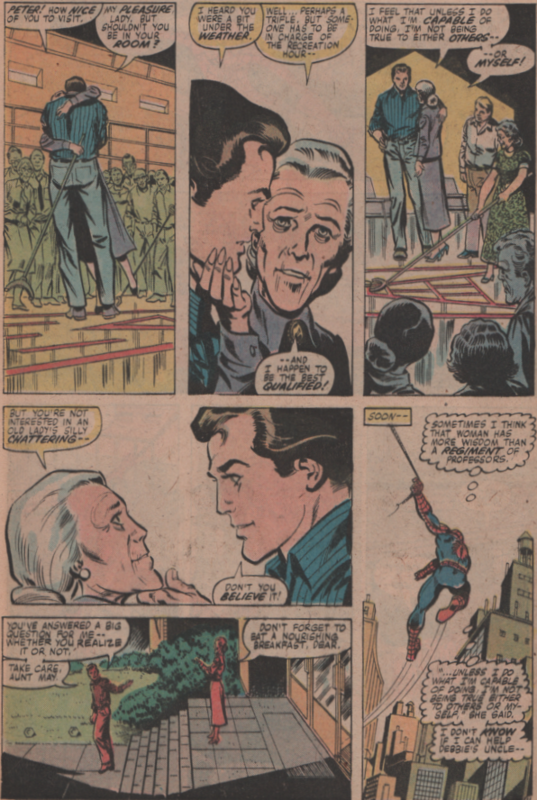 Some consider his run right up there with the all time greats, and after reading some of it, and listening to a podcast about Spidey in the 1980’s, I’d have to agree. 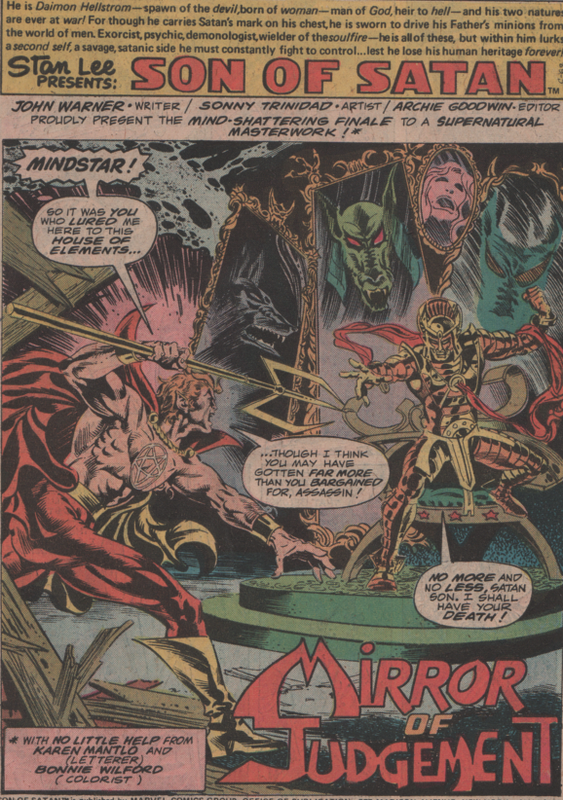 The underworld/crime stories, and the presence of the mysterious Hobgoblin (we/Peter didn’t know who he really was for a few years! 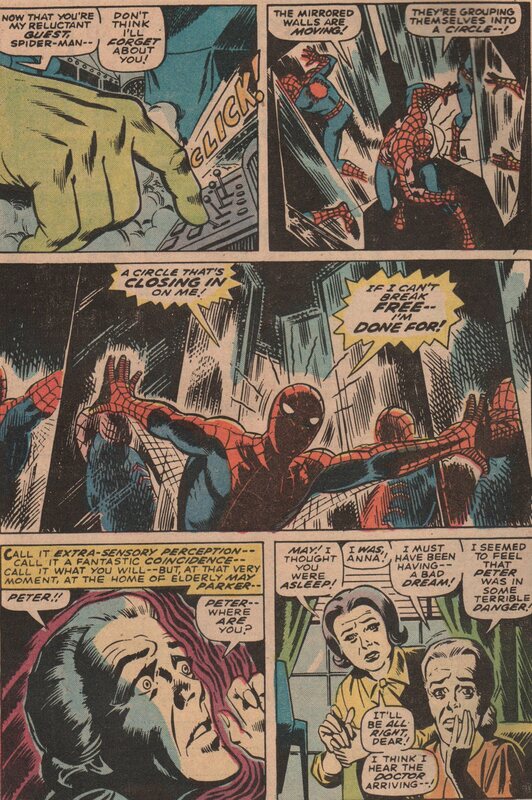 ), really make this a memorable time for the old web-head! 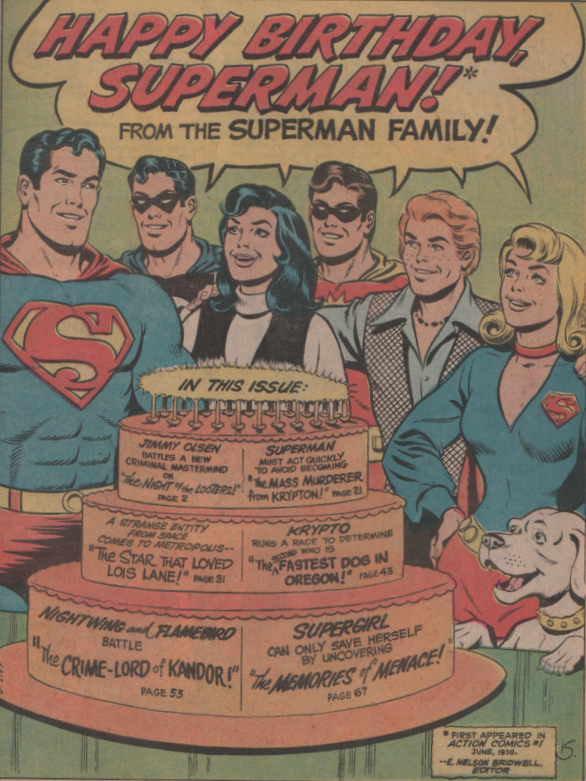 This issue also has a softer side, as Harry and Liz announce that they’re expecting their first child (little Normie)! 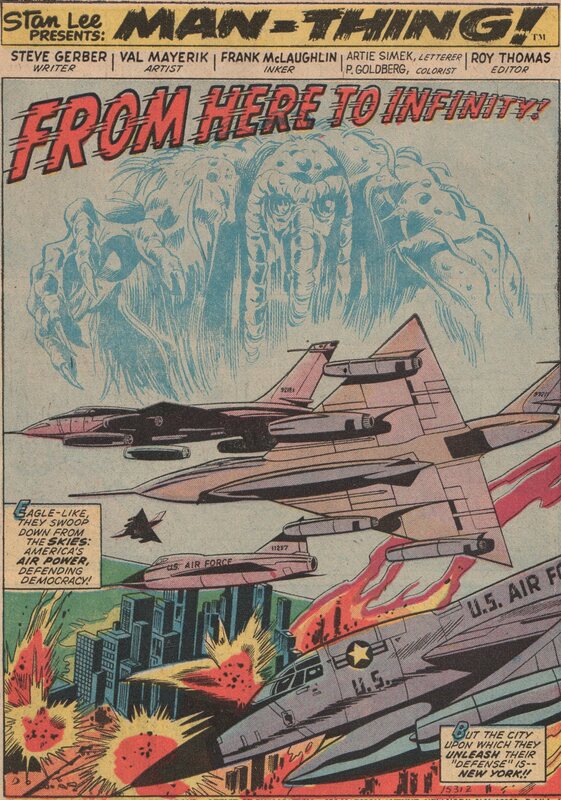 The story was written by the often overlooked Bill Mantlo (some plot credit to Stern?). If you look at this man’s credits, he was one of the builders that helped keep Marvel going for a decade. Between ROM, The Micronauts, and all the short runs and fill-ins he did, you’ve got to respect his place in the industry’s history. 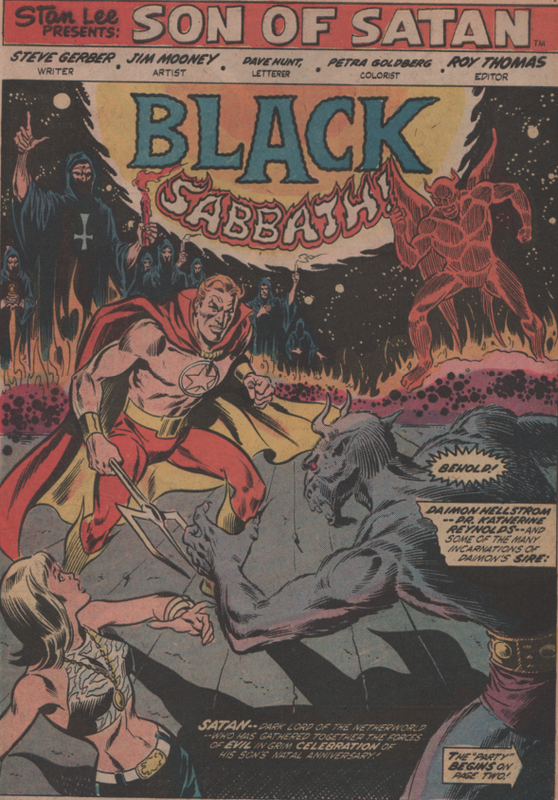 The artwork was by the team of Al Milgrom and Jim Mooney, and both of those men are also a big part of the Bronze Age (and Copper Age) of comics. With the colors by Bob Sharen and letters by Diana Albers, the team is in place. Get ready for action, and love (with The Black Cat) for Peter Parker! 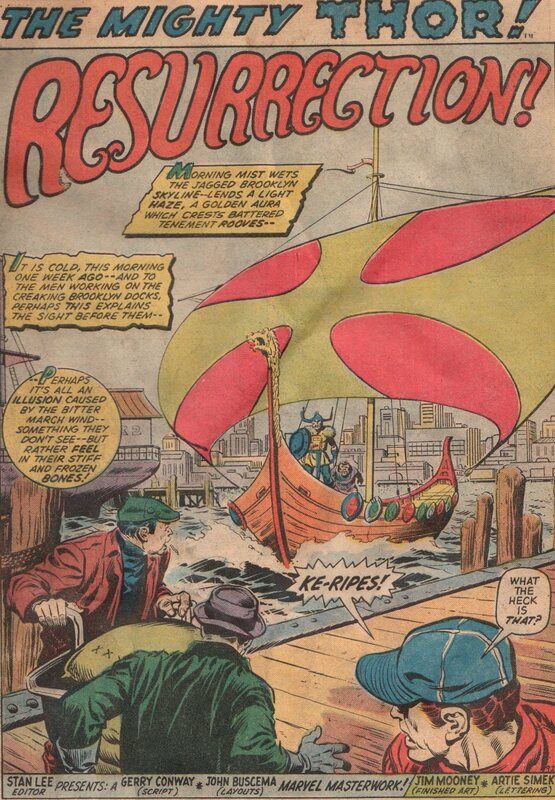 After Jack Kirby left Marvel, I’m sure there were some that were very despondent, both within Marvel, and fans. One of the books he left, was Thor. 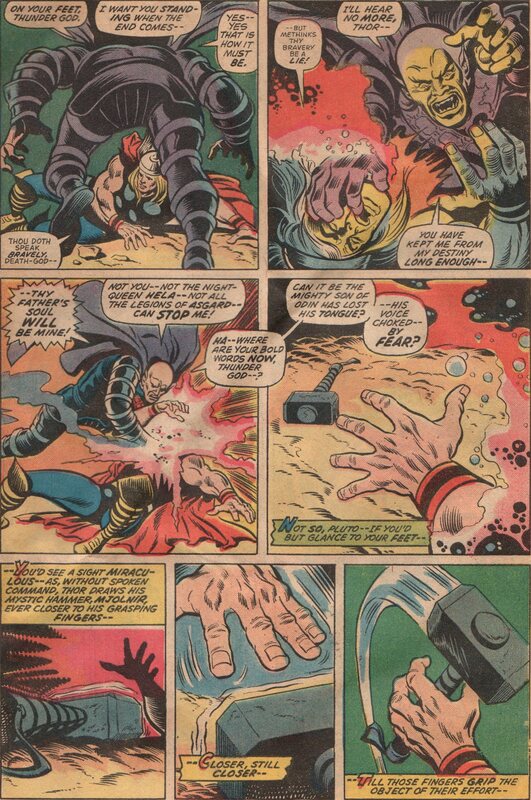 Most would probably say that the Fantastic Four or Captain America are his crowning achievements, but for me, I think Thor is right up there with anything he ever gave us during his time at Marvel Comics. So, the stage is set, Kirby is gone, and who can even possibly try to fill his shoes? 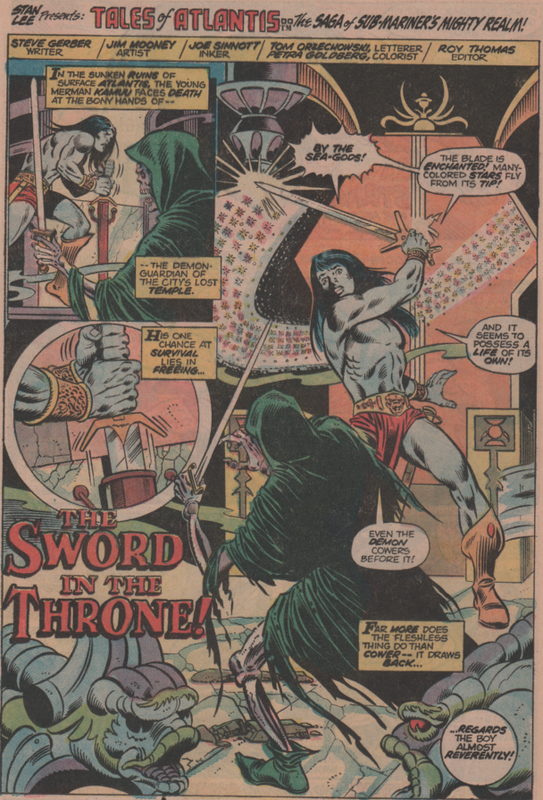 Enter John Buscema! The man’s work is well documented, and for all the greats of his time, he stands tall, right there among them. 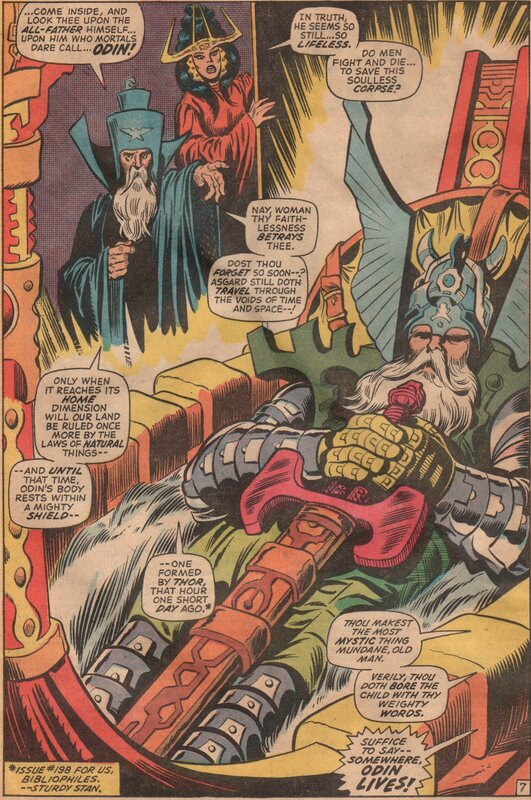 In this issue, we see Odin brought back to life with the help of Hela! 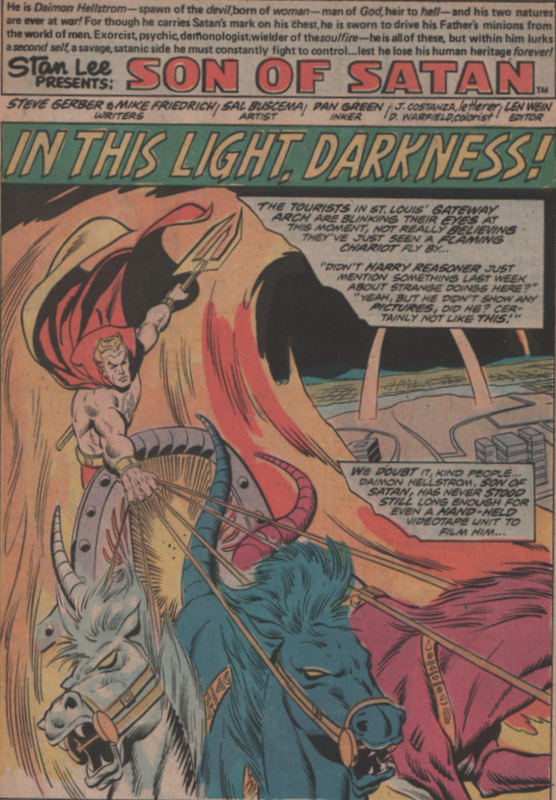 We also get a treat, and see the god of war, Pluto, as he battles Thor! 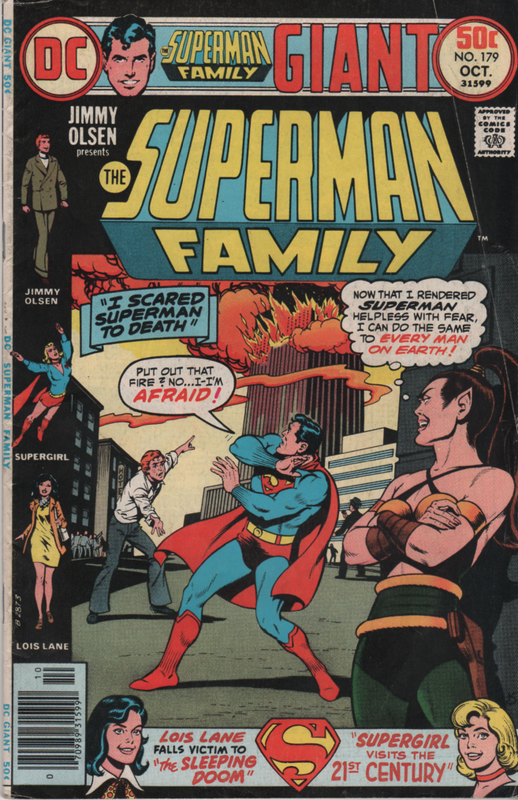 As I’ve already pointed out, this issue is a good one, and basically, you have two elements driving that fact. 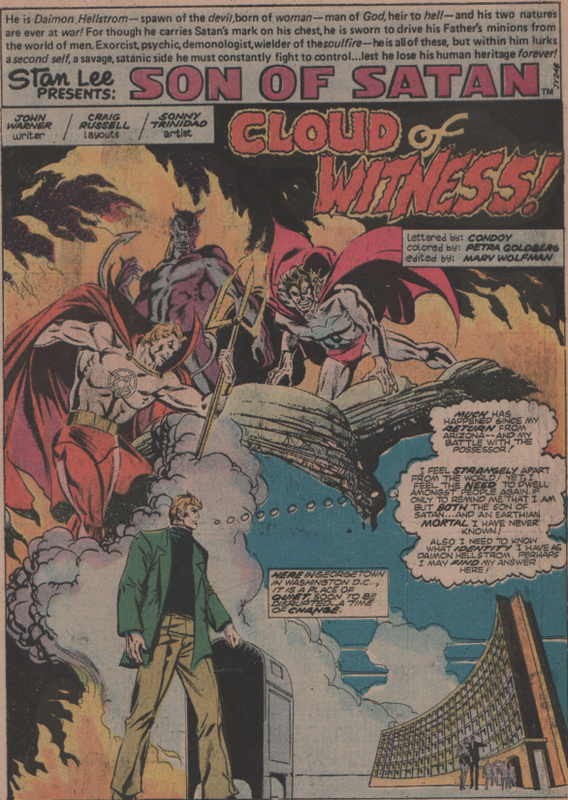 First is the great creative team of Gerry Conway (writer), “Big” John Buscema (pencils), Jim Mooney (inks), Artie Simek (letters), Gil Kane (cover pencils), and Vince Colletta (cover inks)! 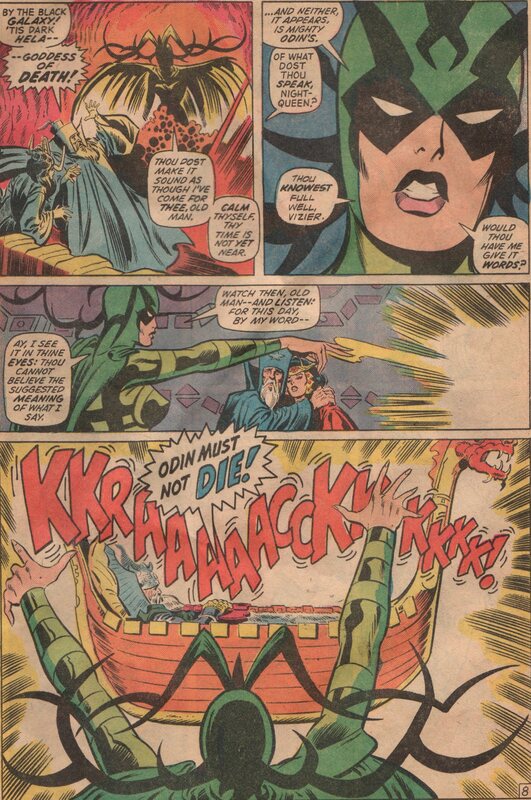 The second is the awesome continuity that had been put into place by Lee and Kirby, up until this point in the character’s history. Throw those things together, and you get a great title!